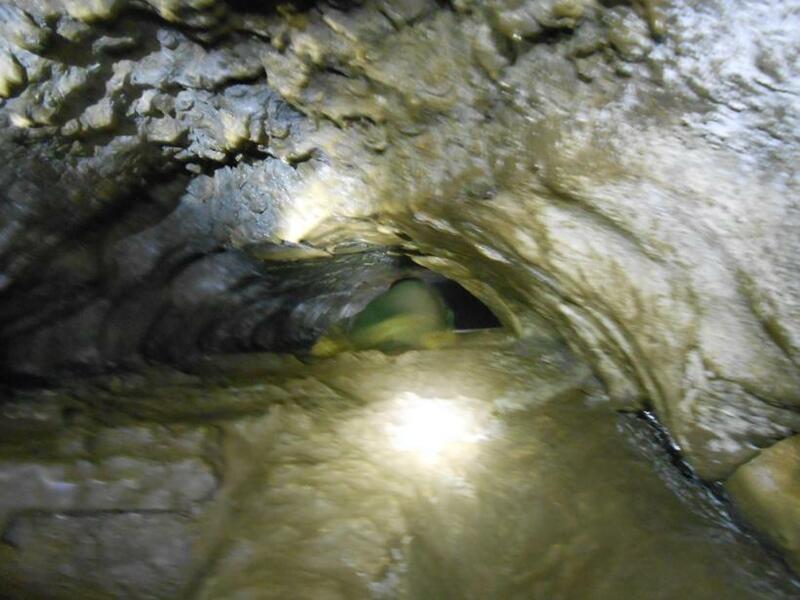 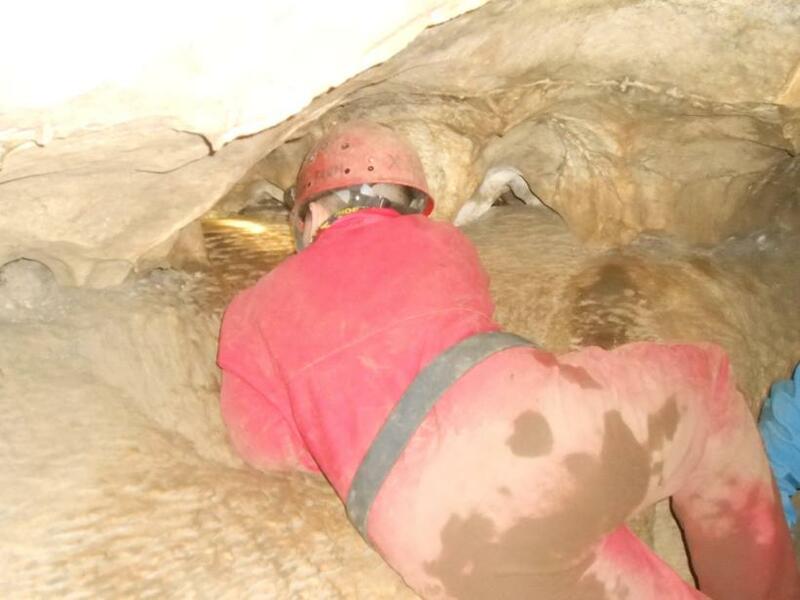 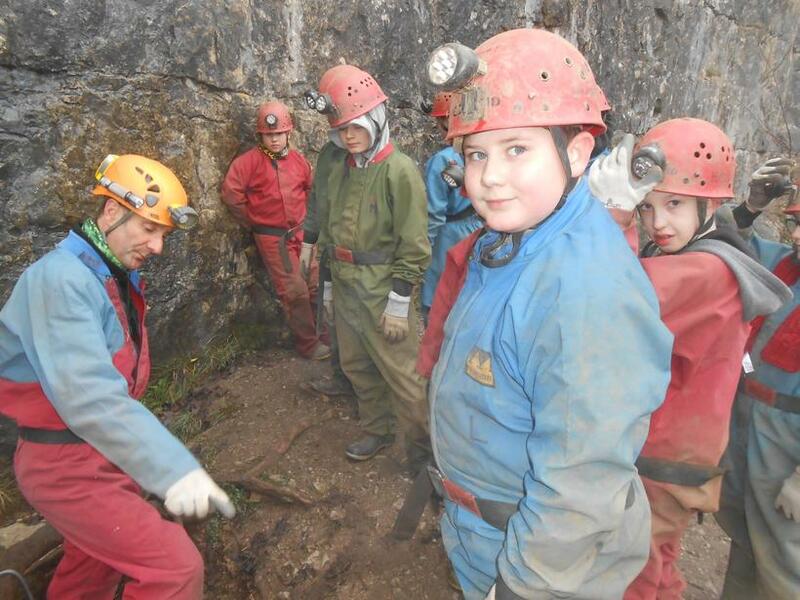 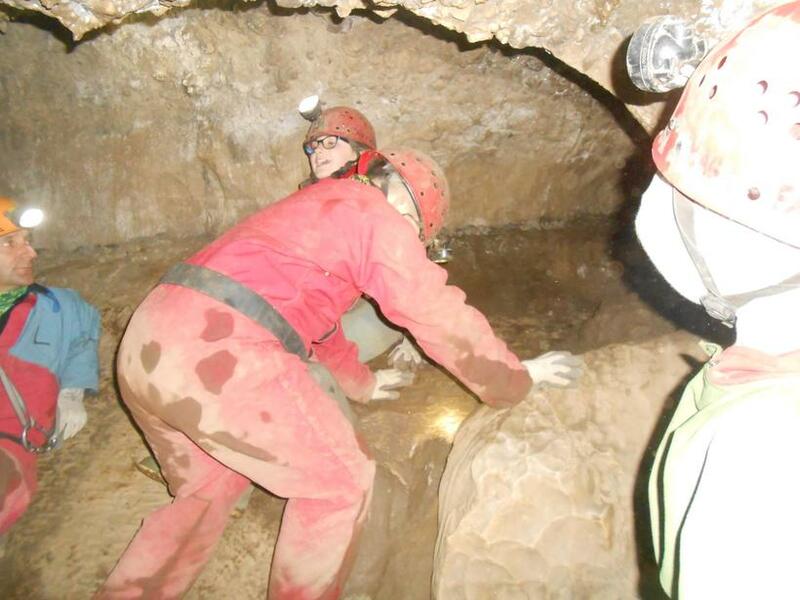 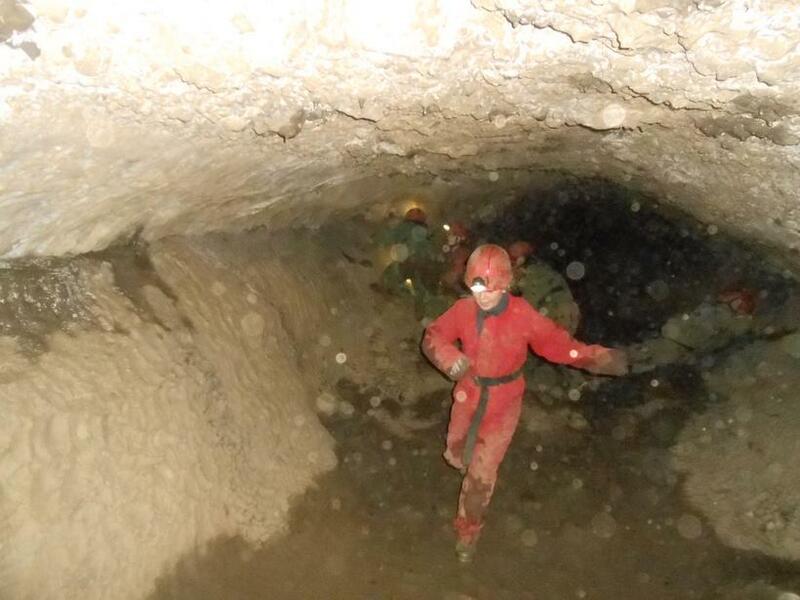 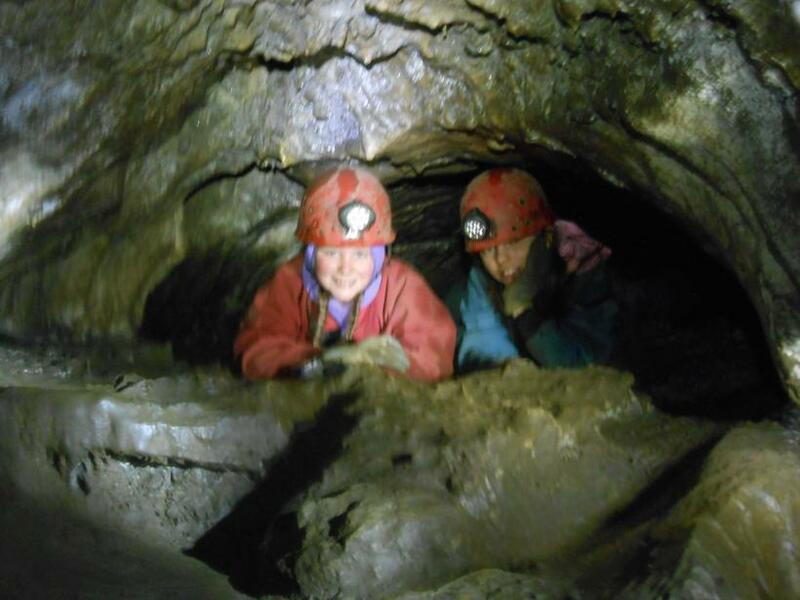 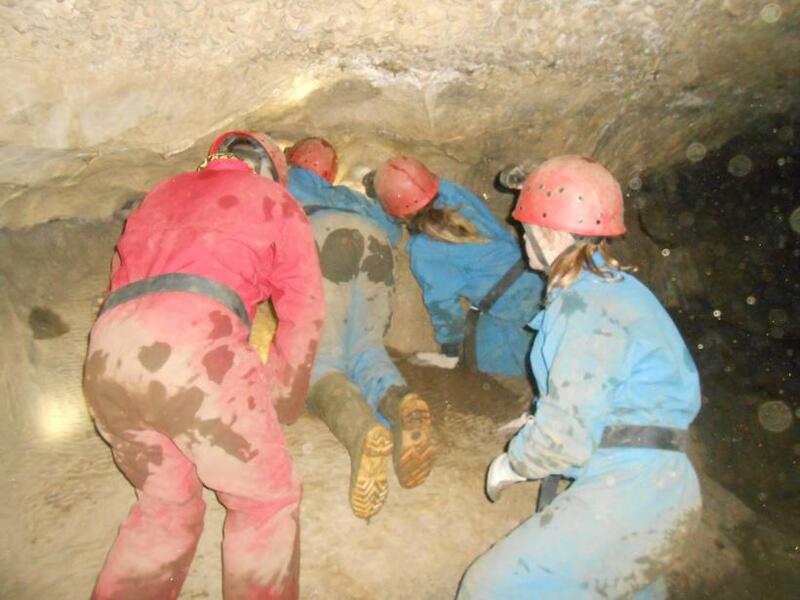 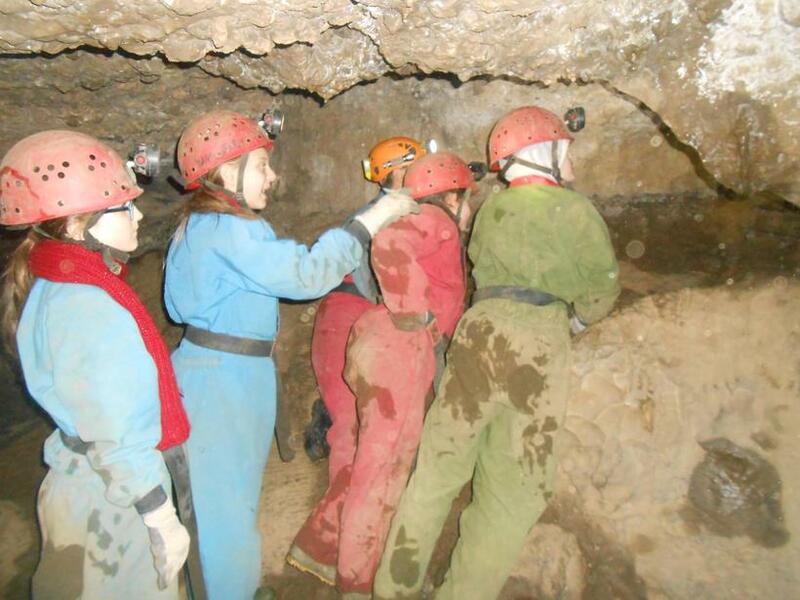 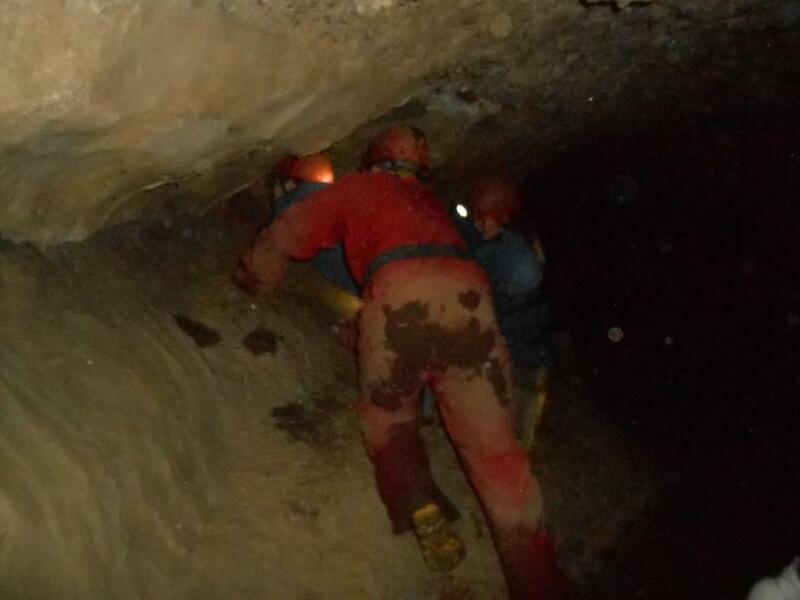 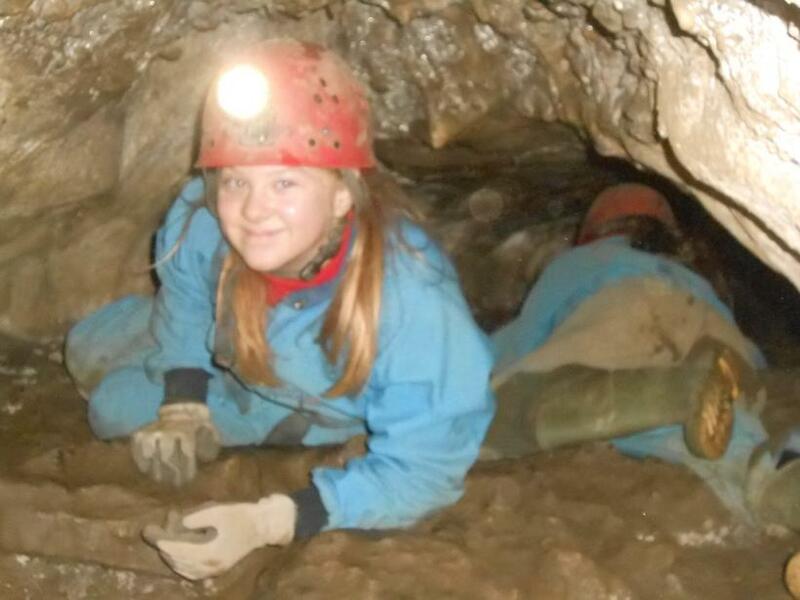 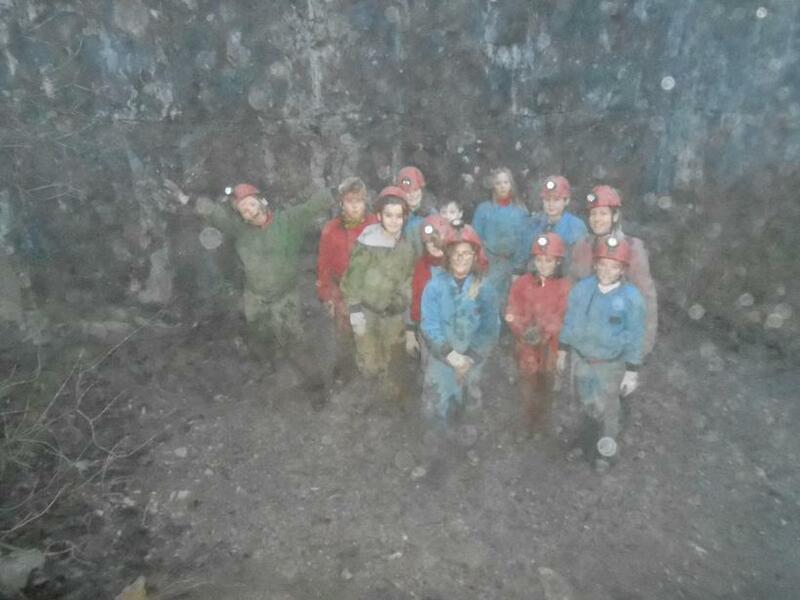 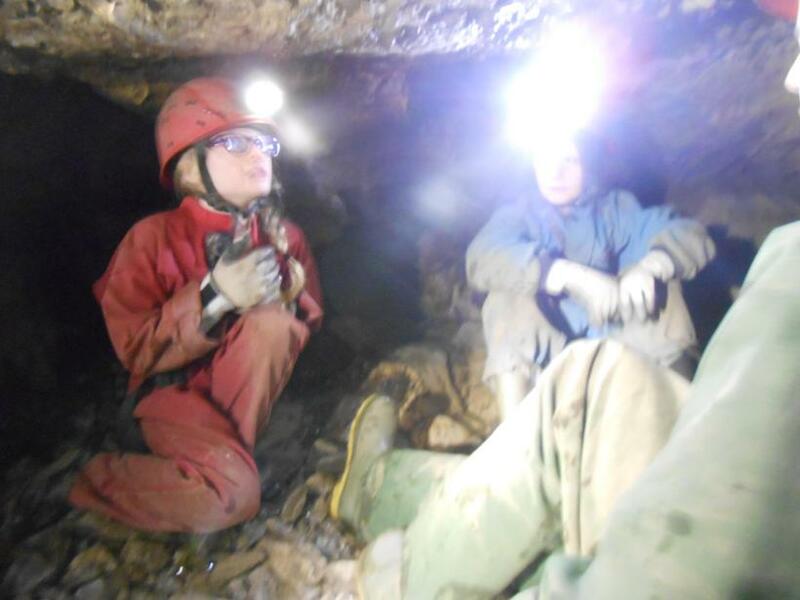 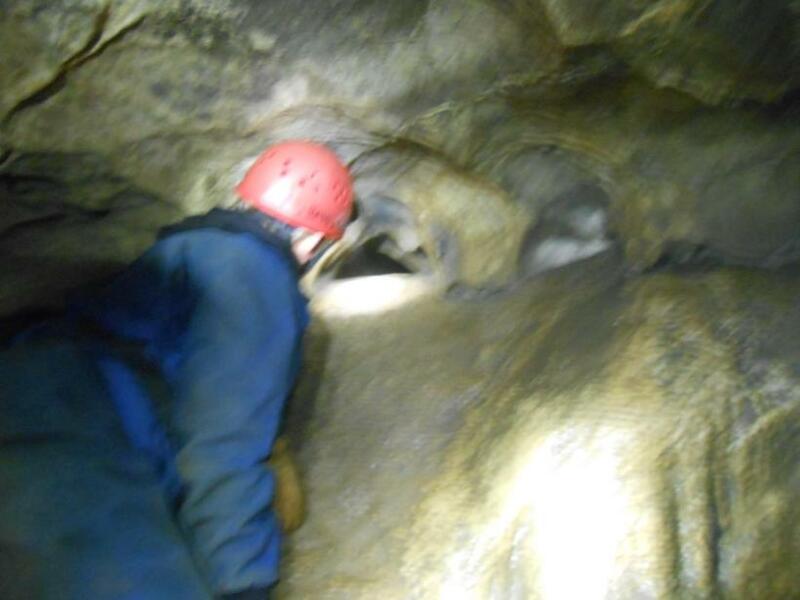 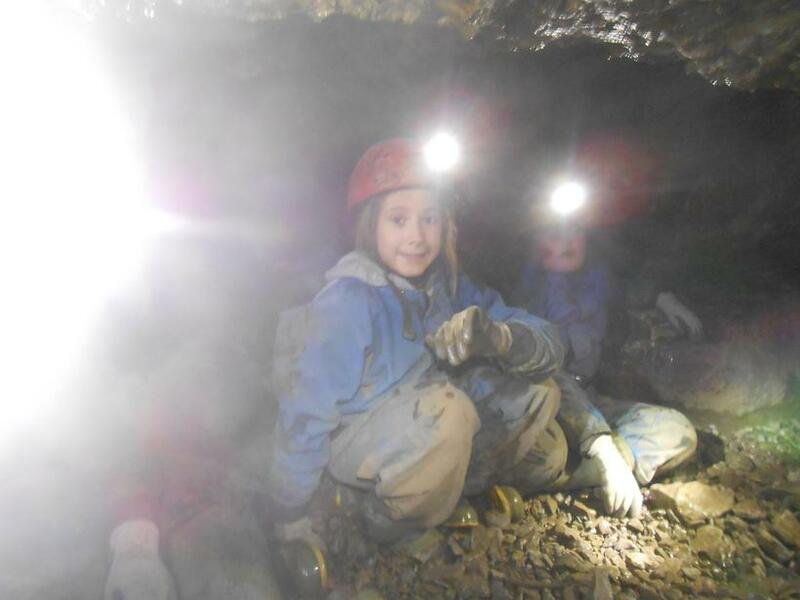 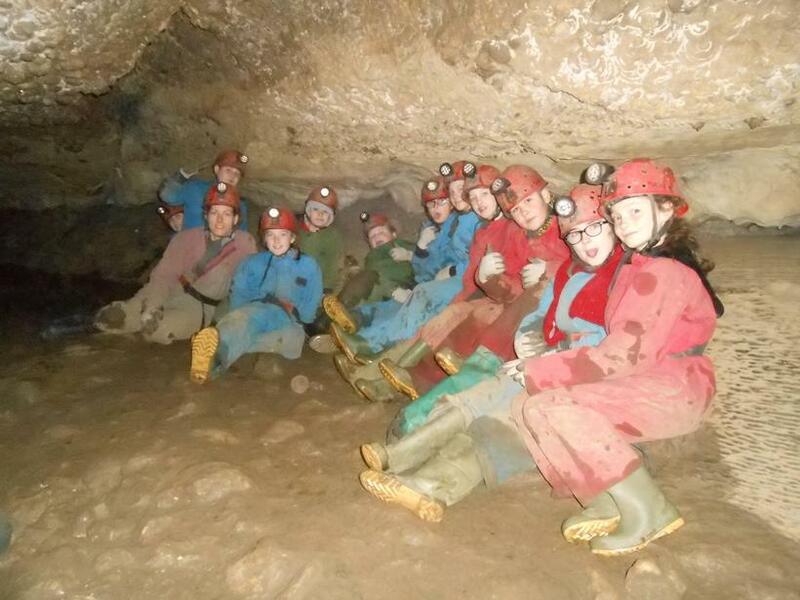 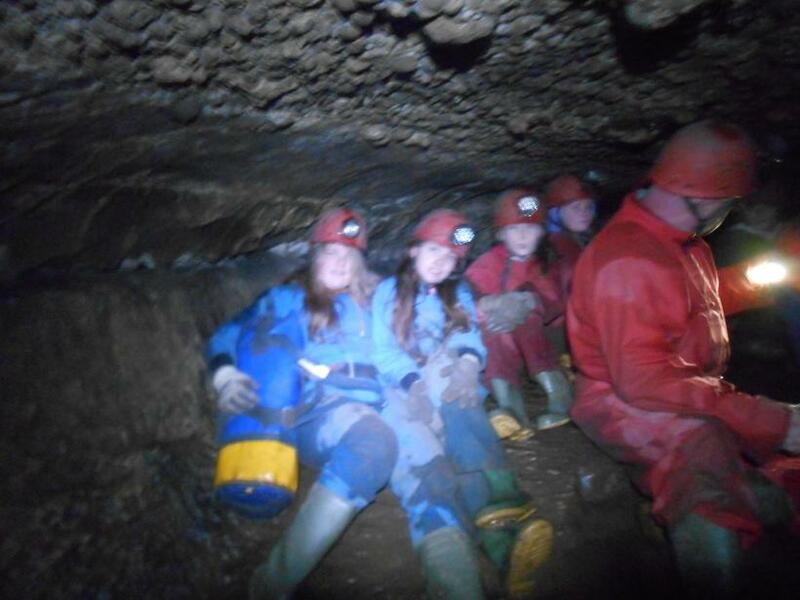 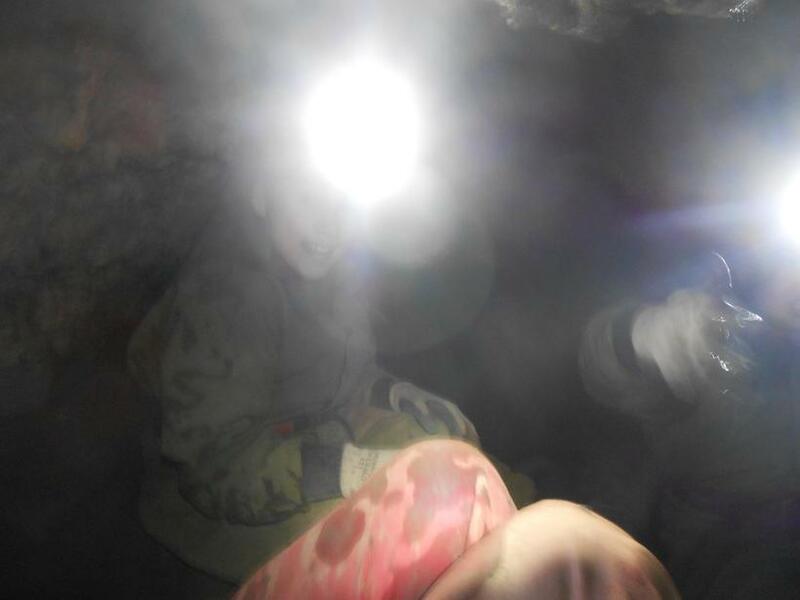 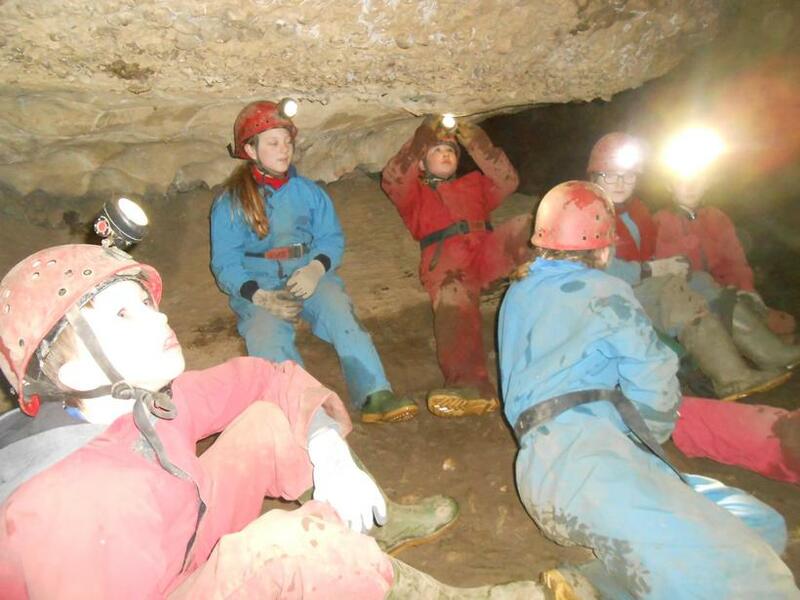 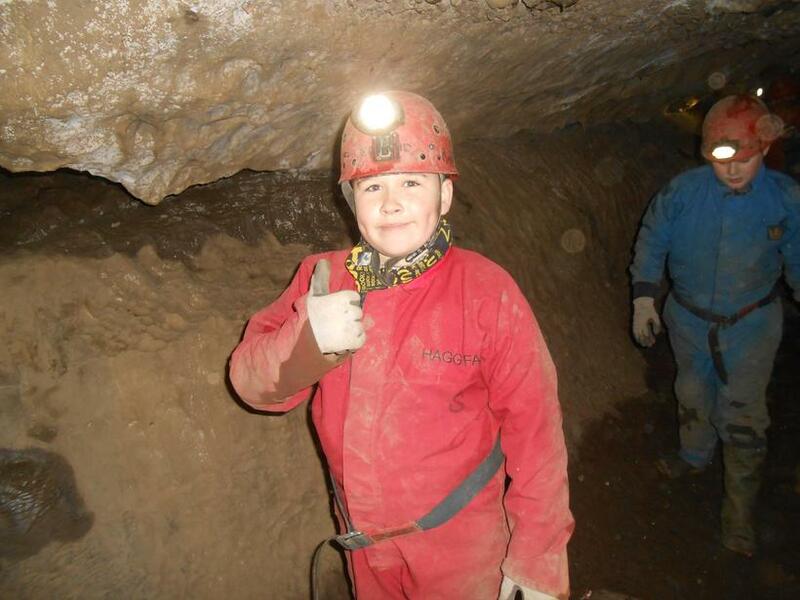 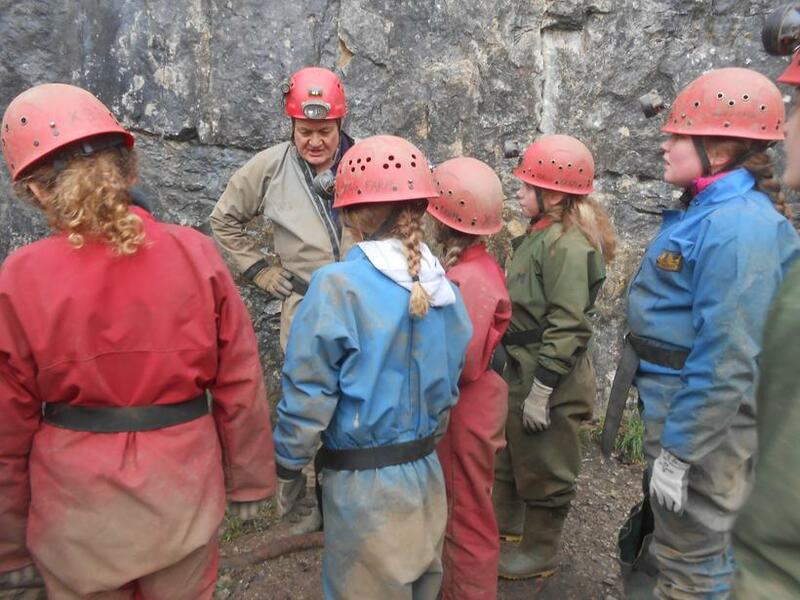 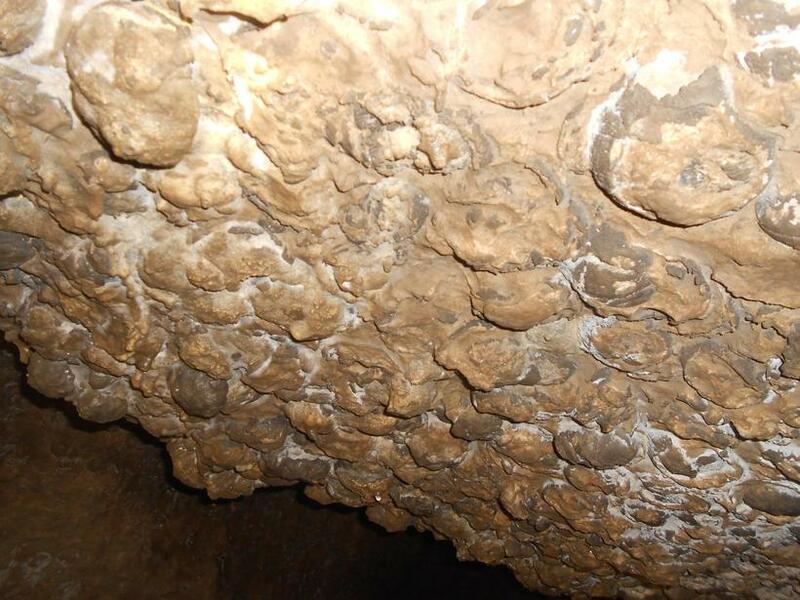 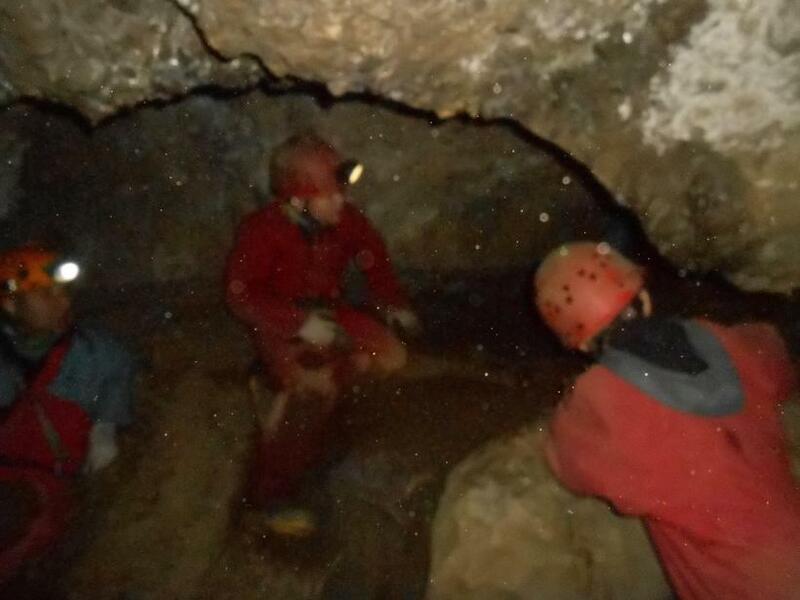 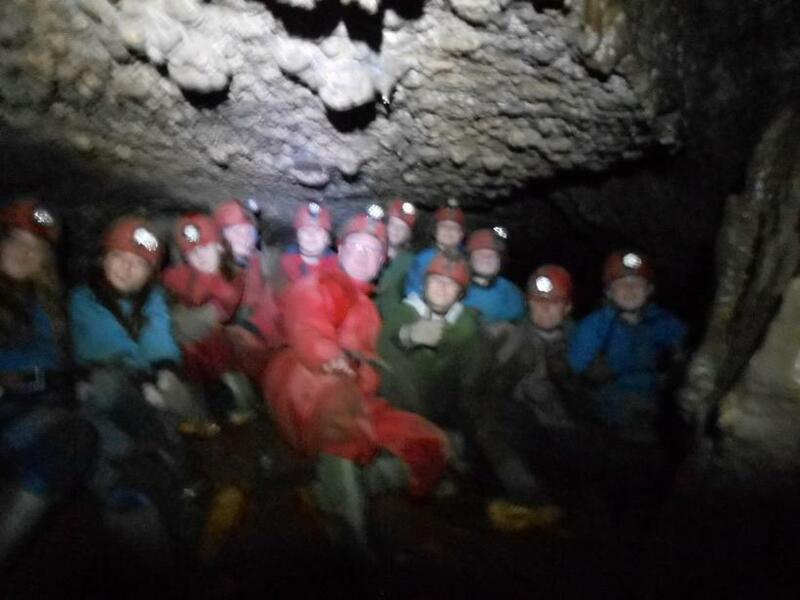 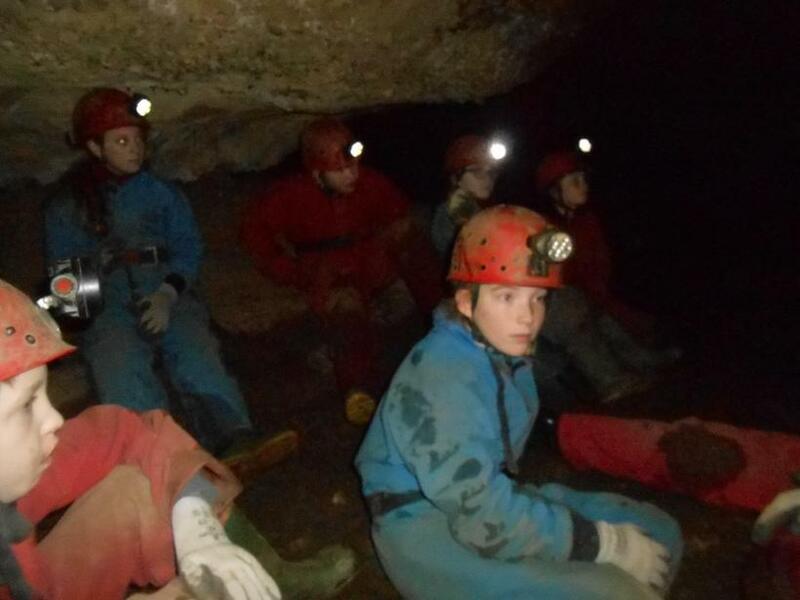 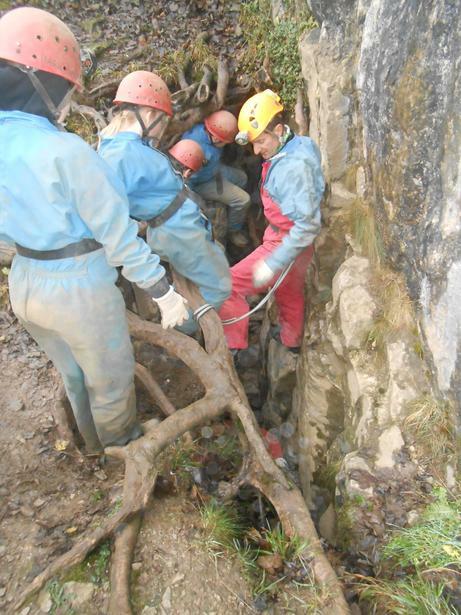 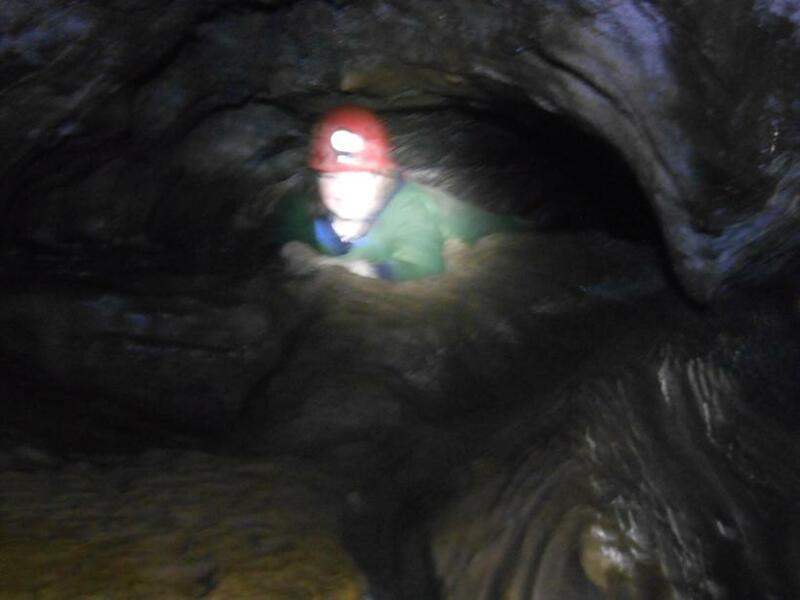 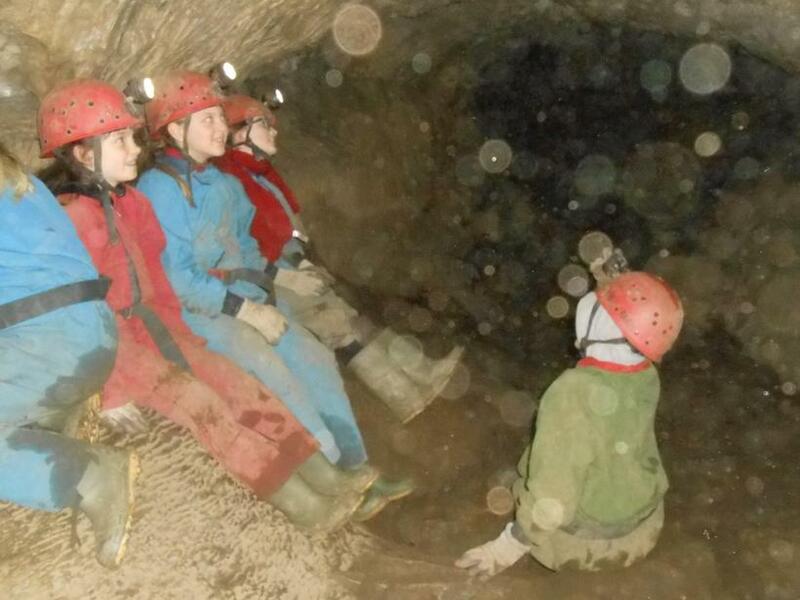 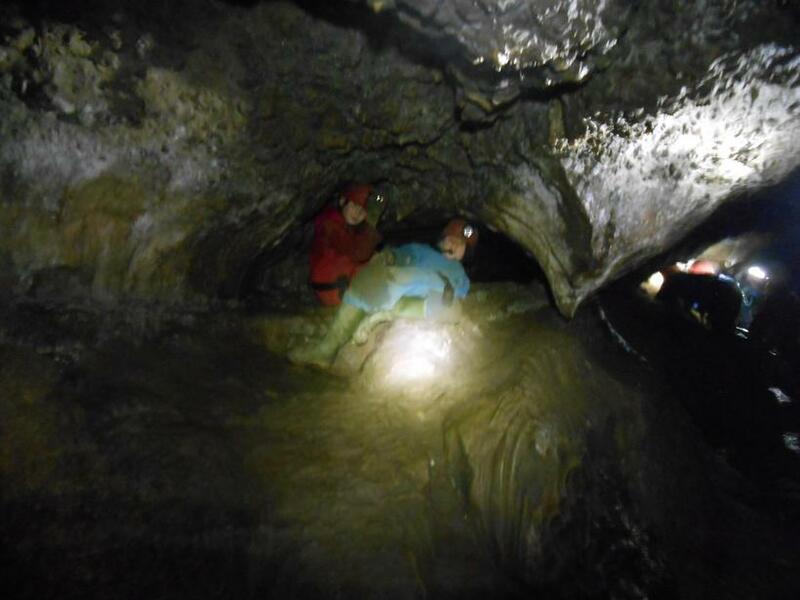 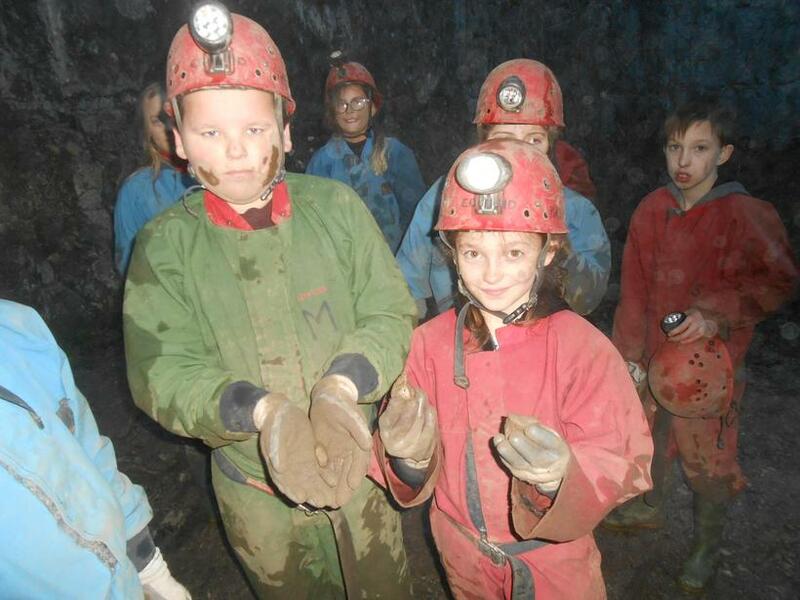 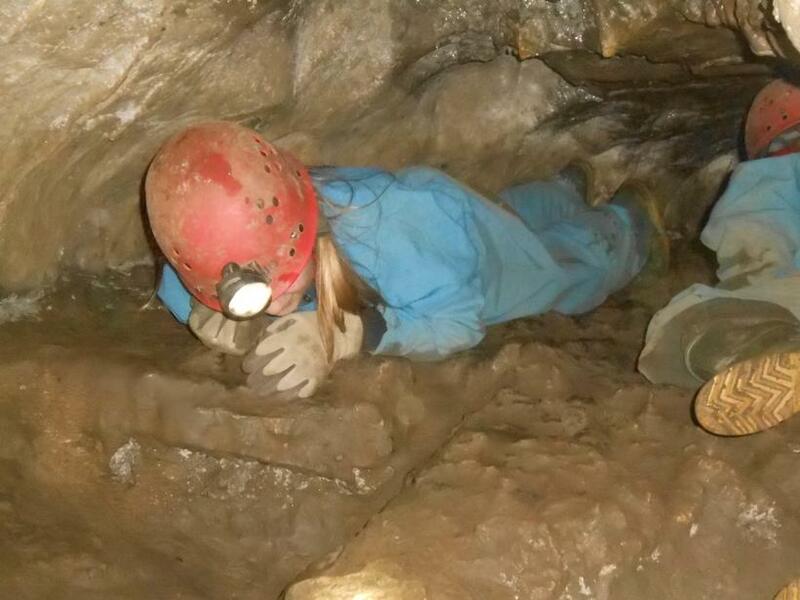 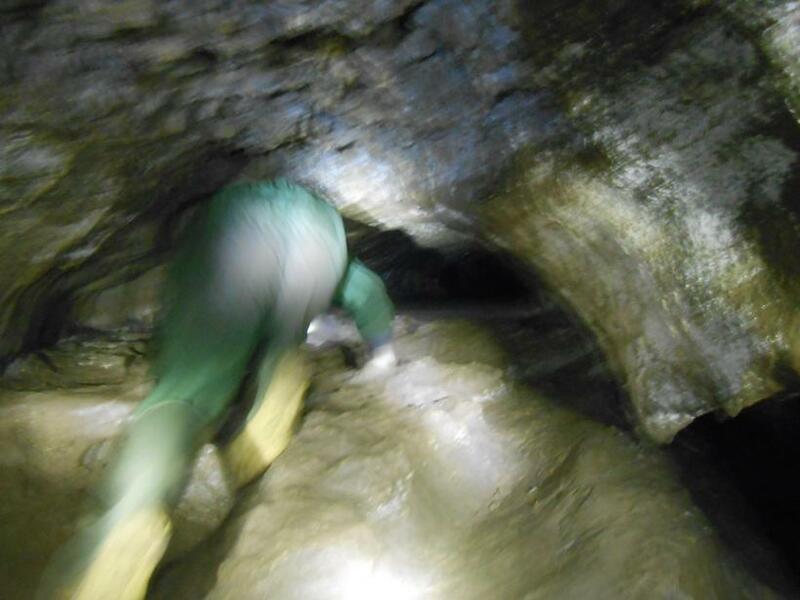 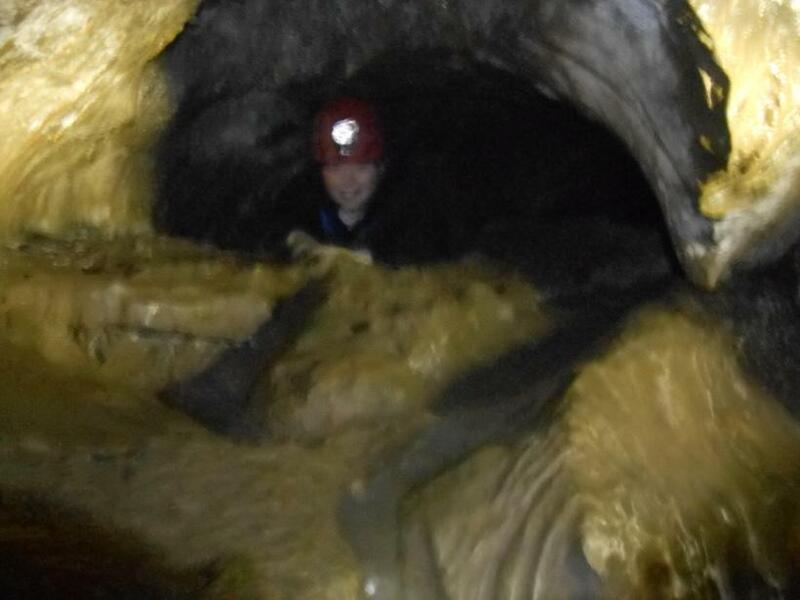 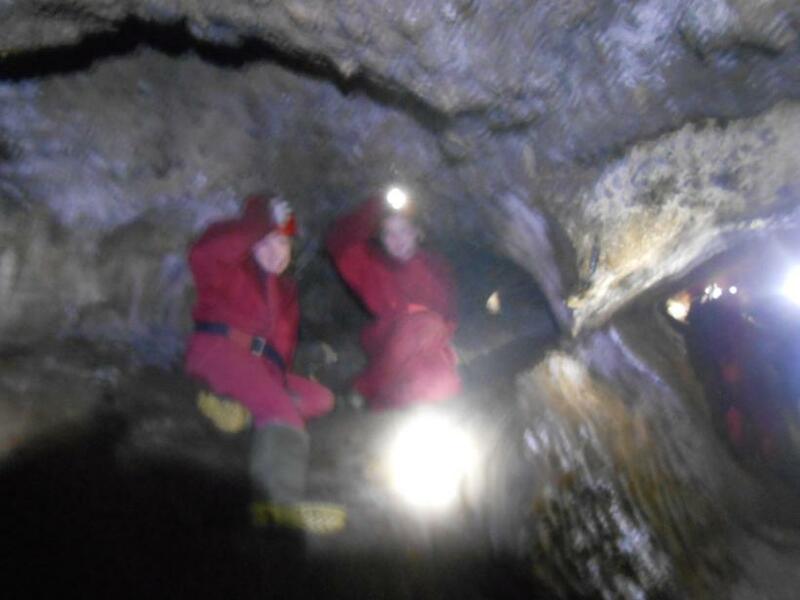 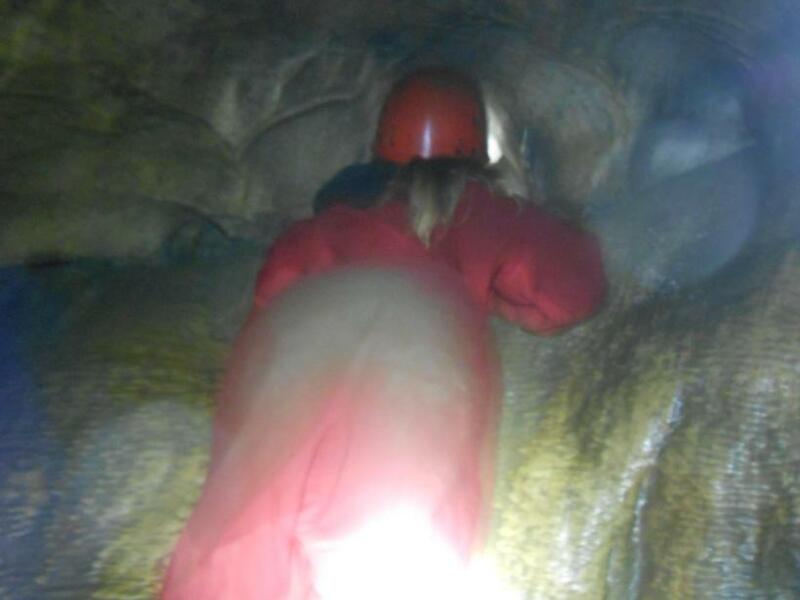 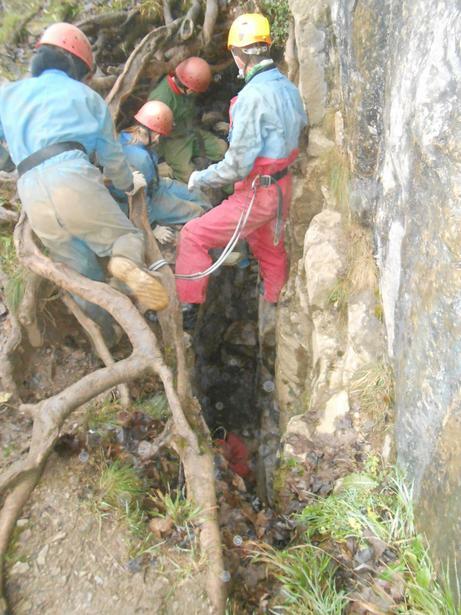 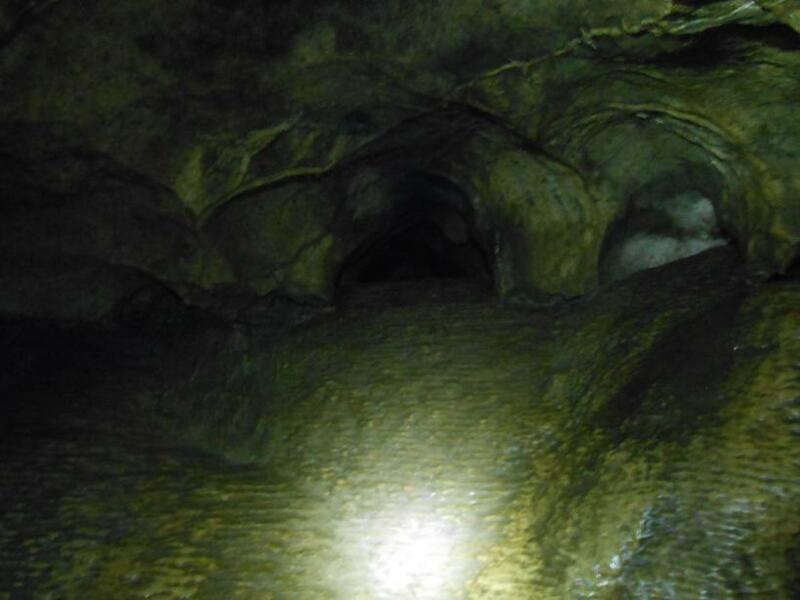 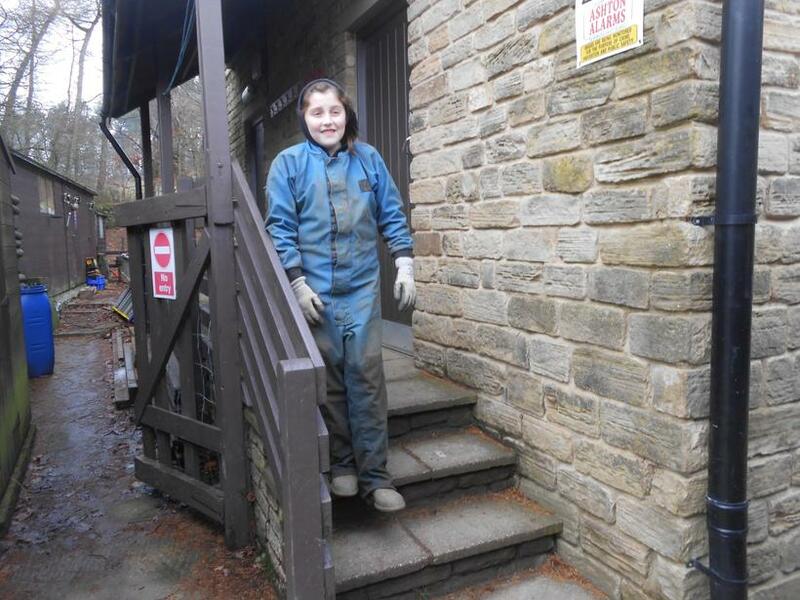 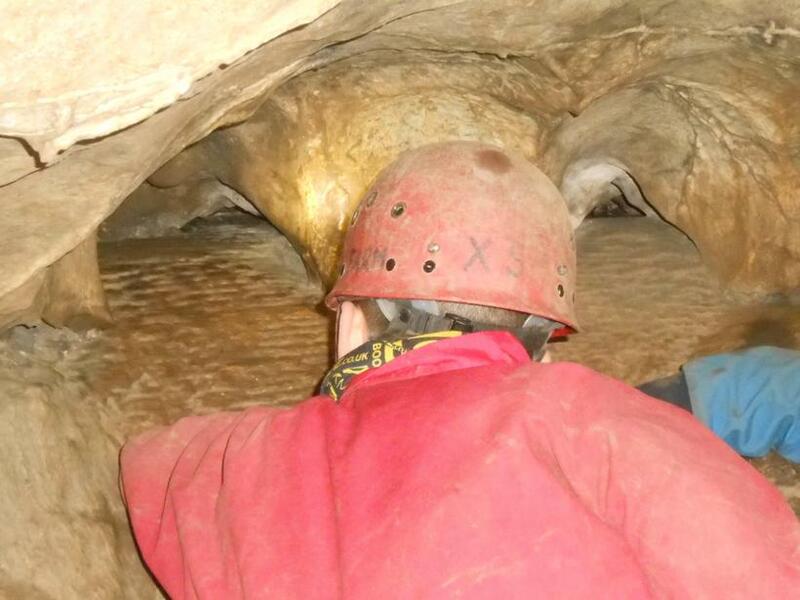 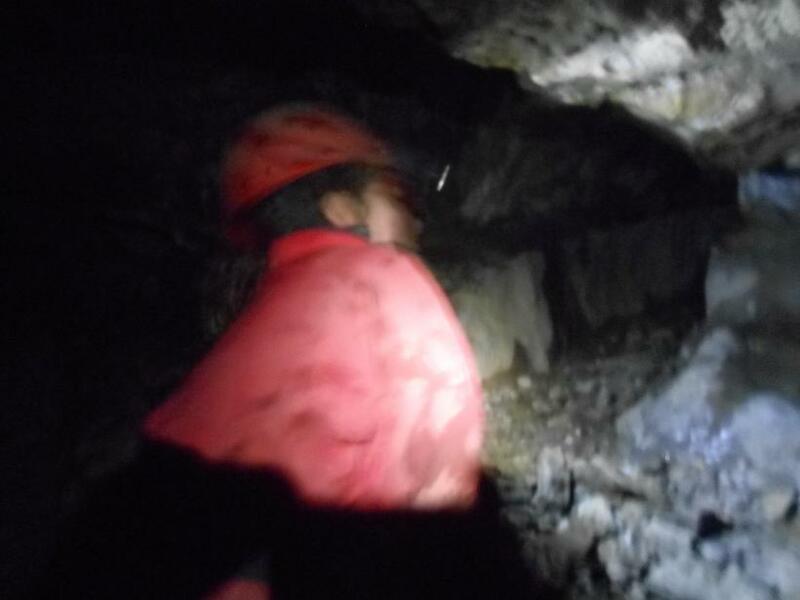 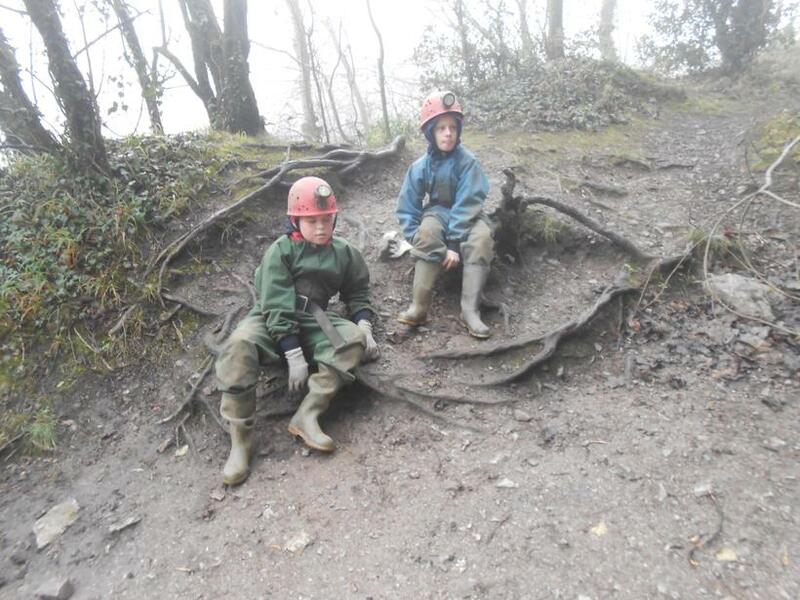 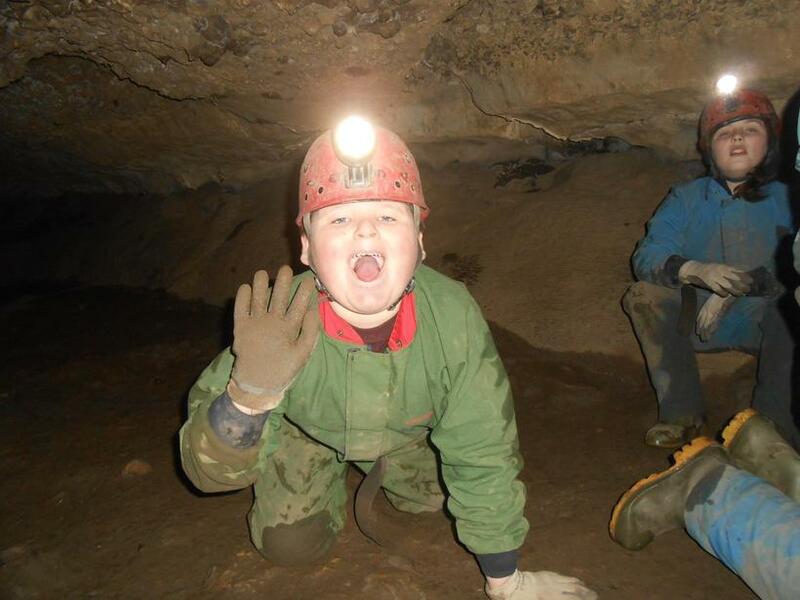 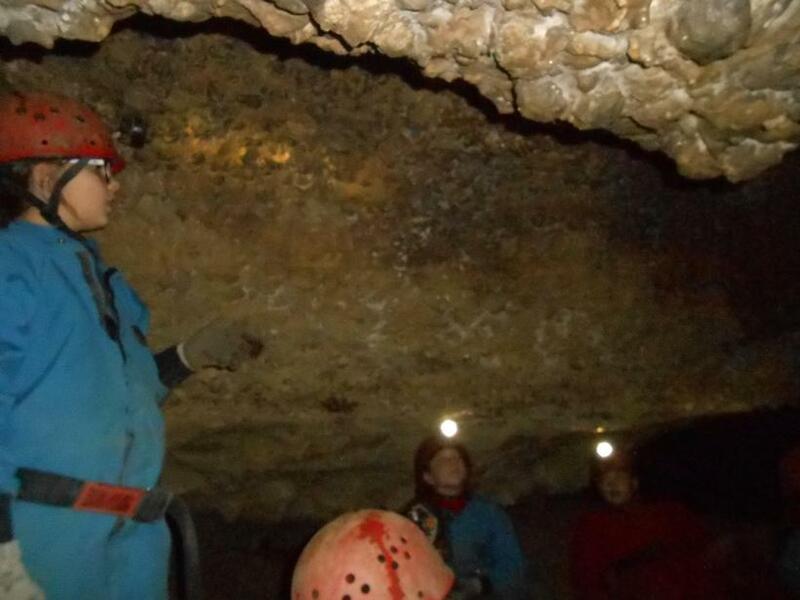 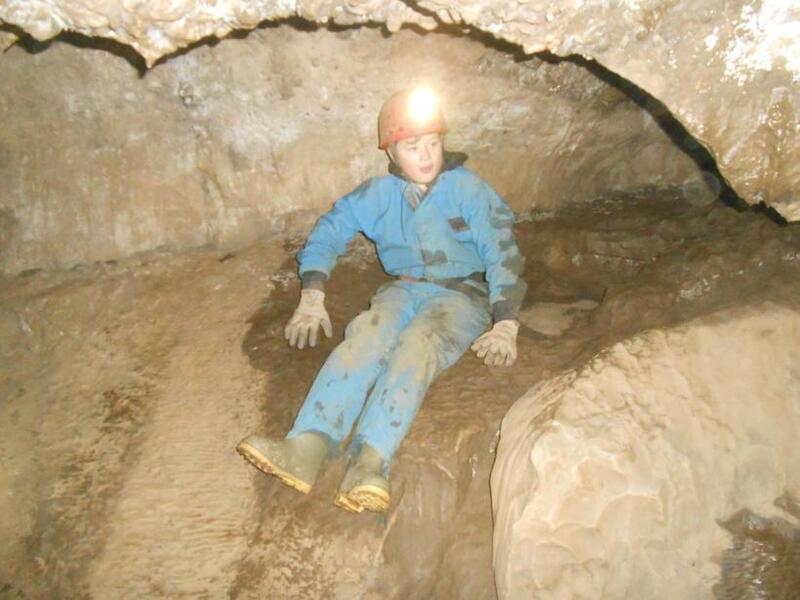 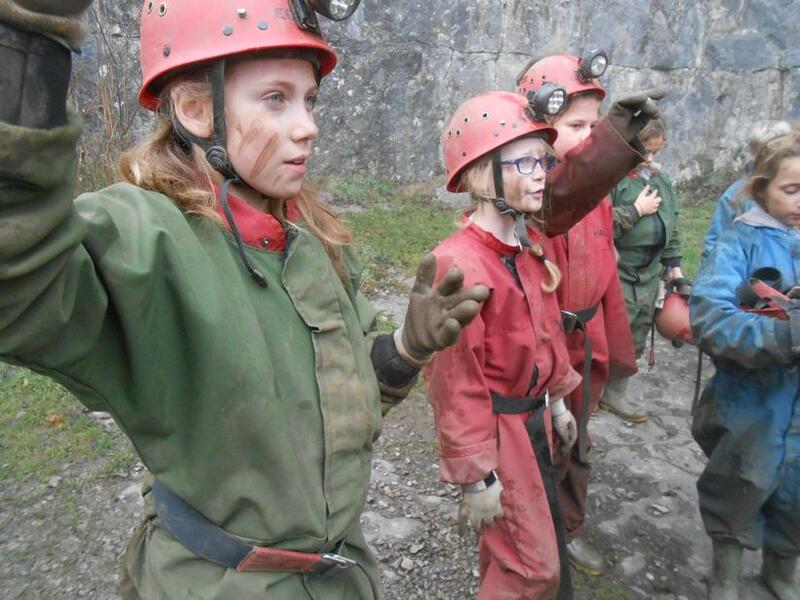 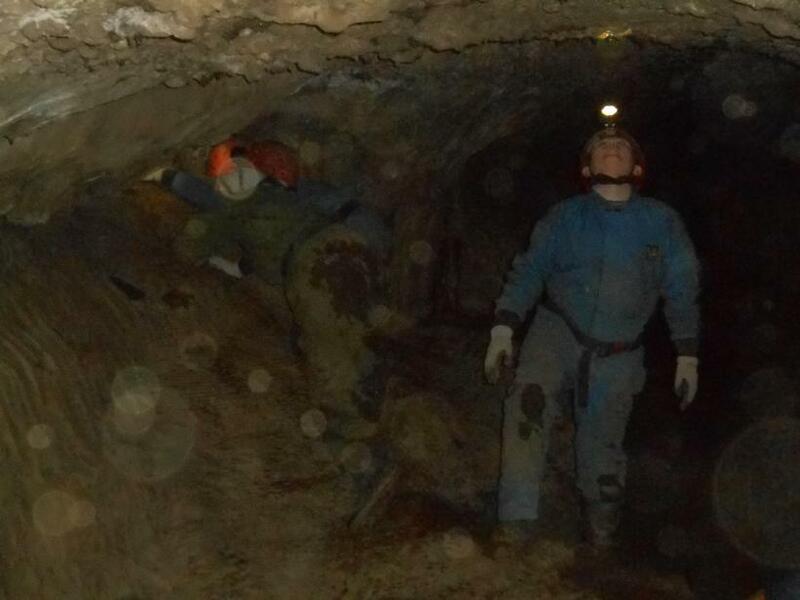 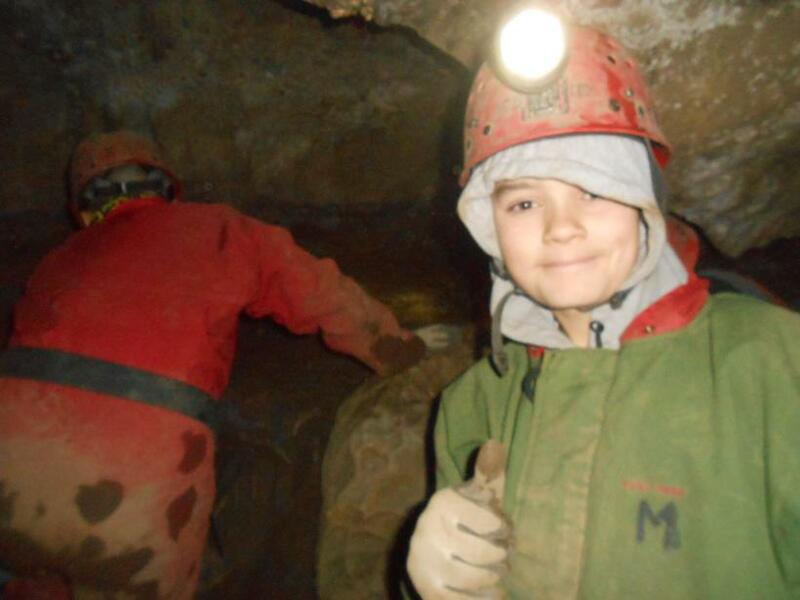 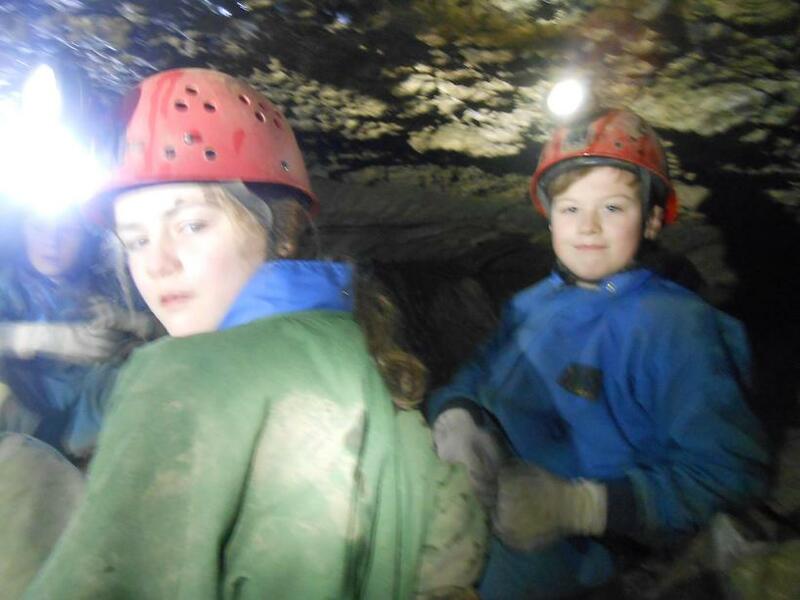 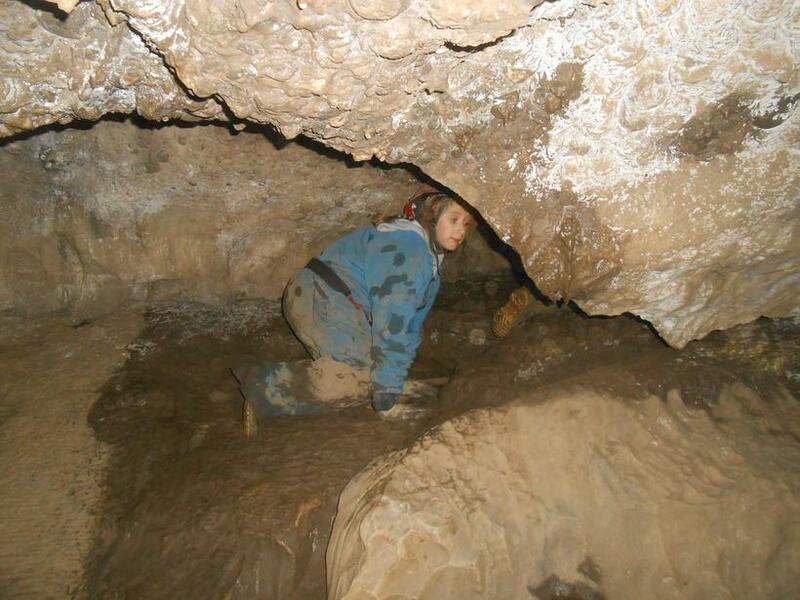 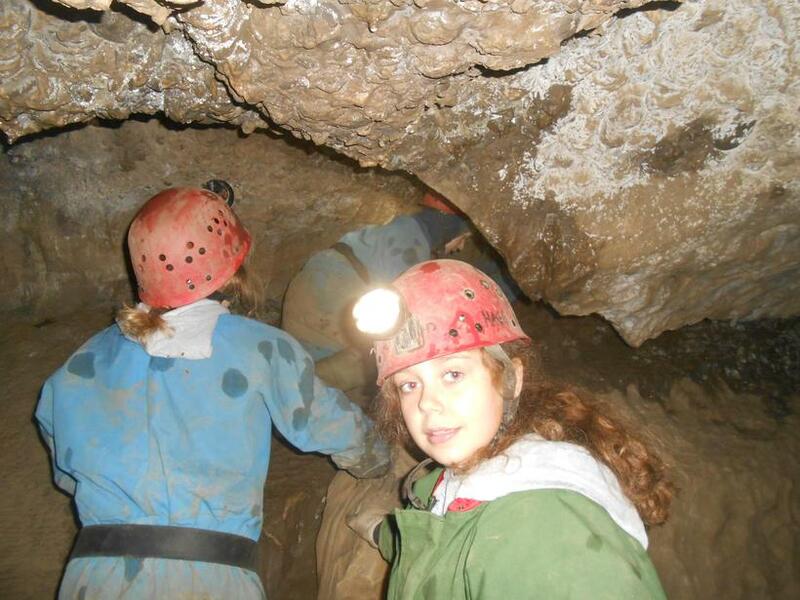 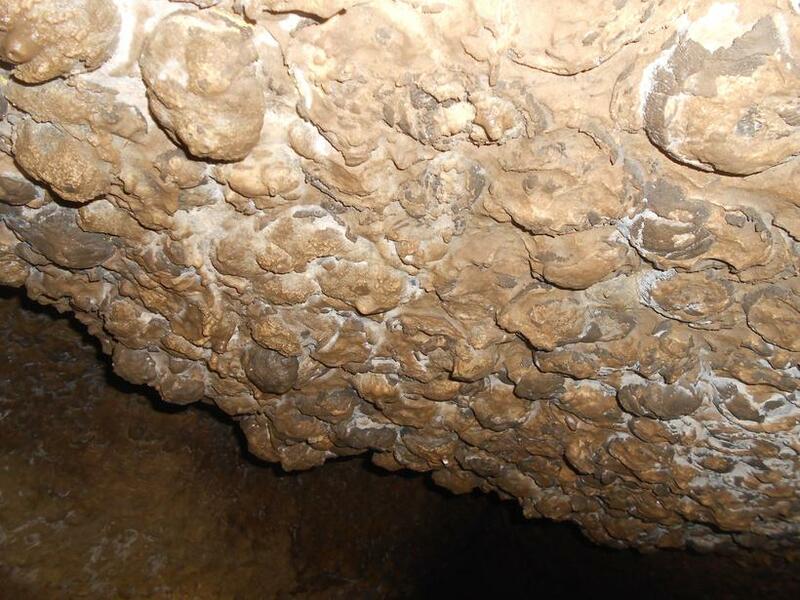 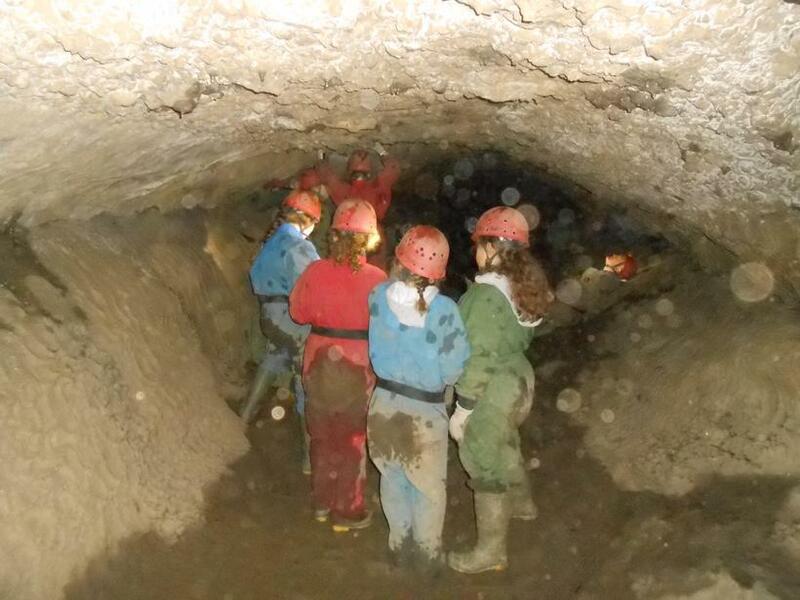 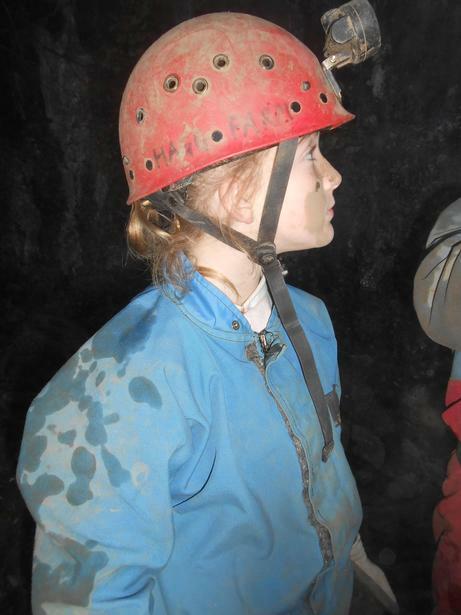 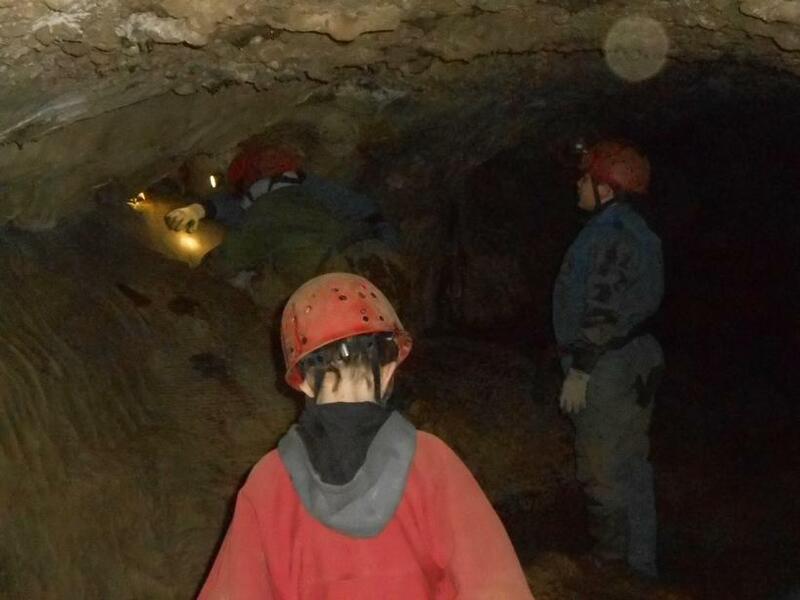 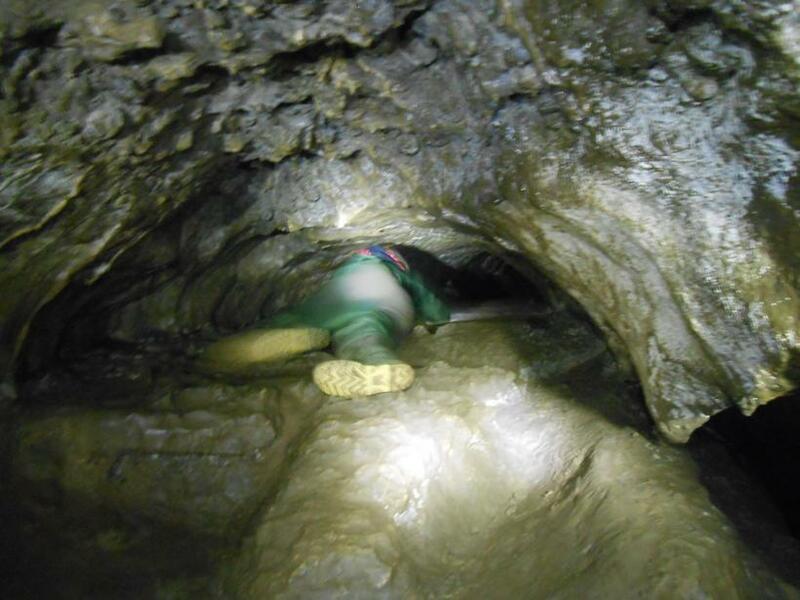 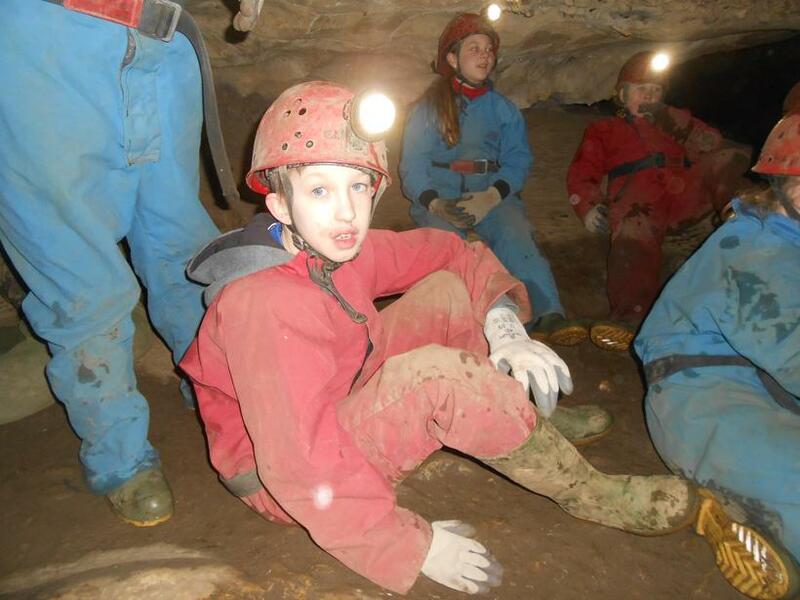 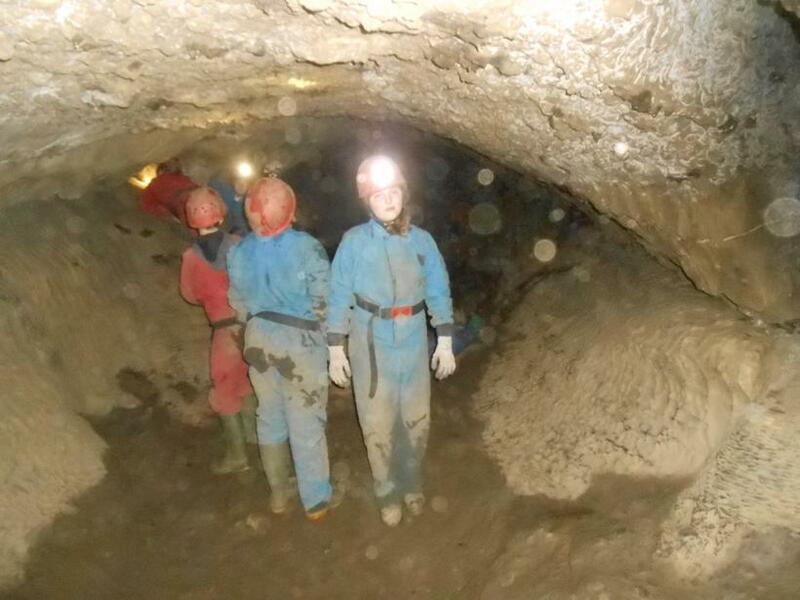 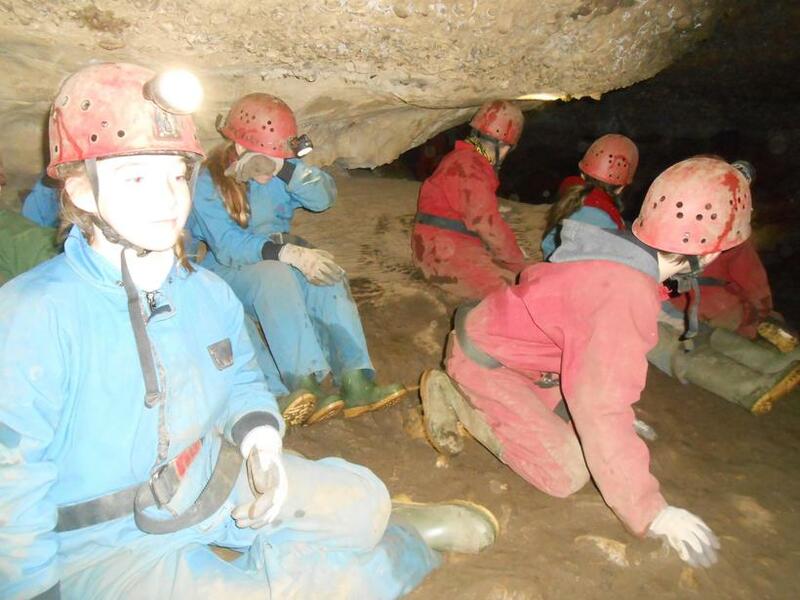 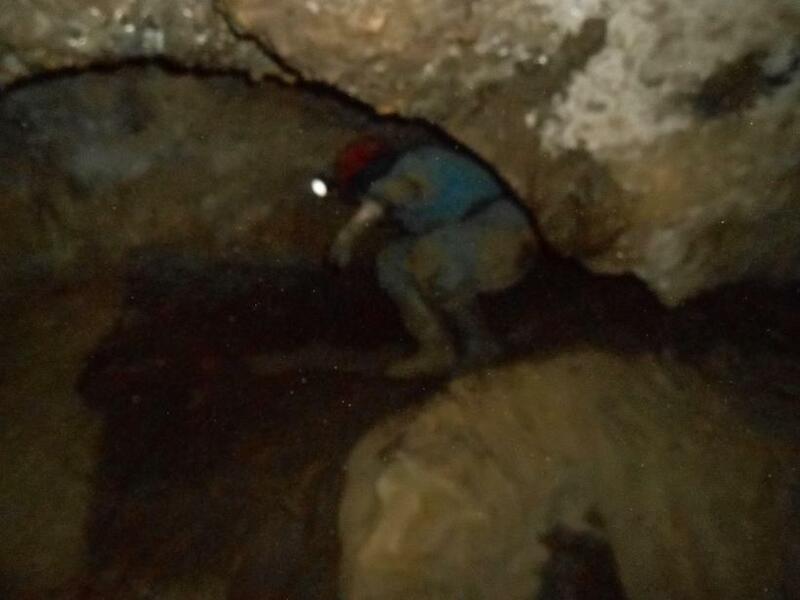 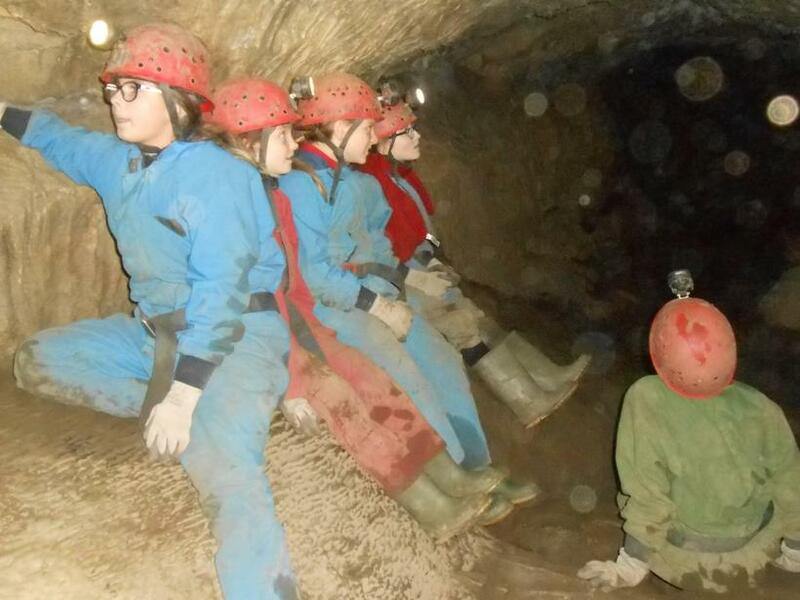 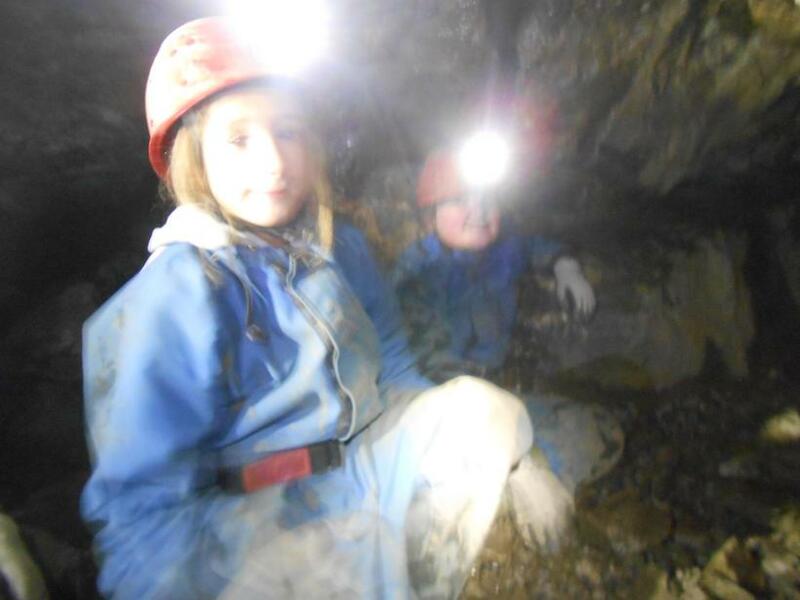 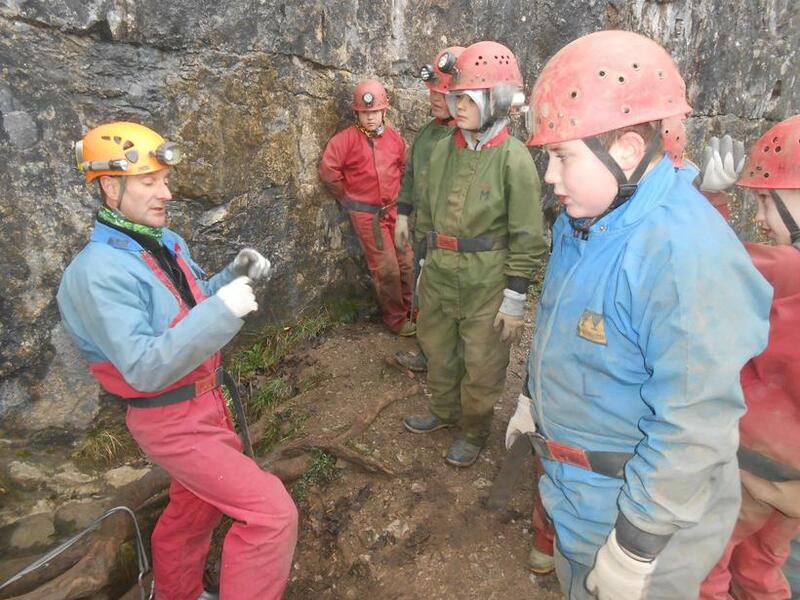 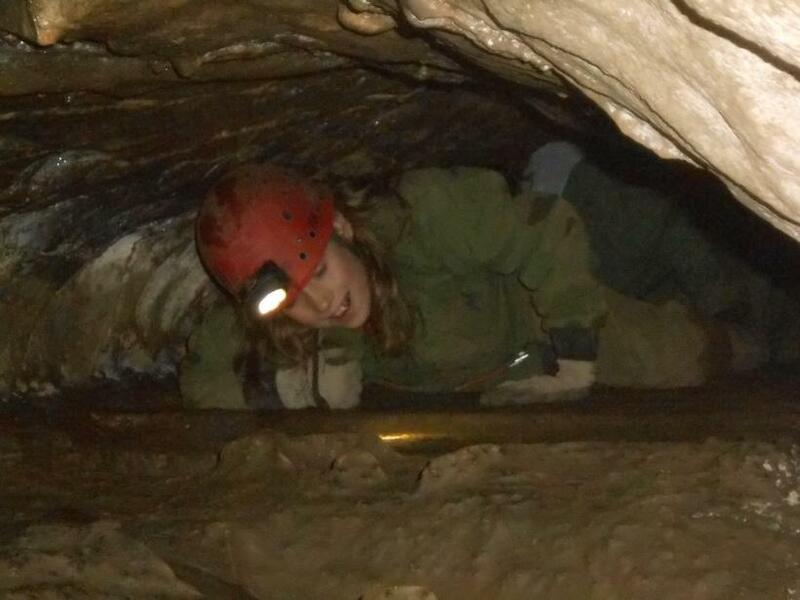 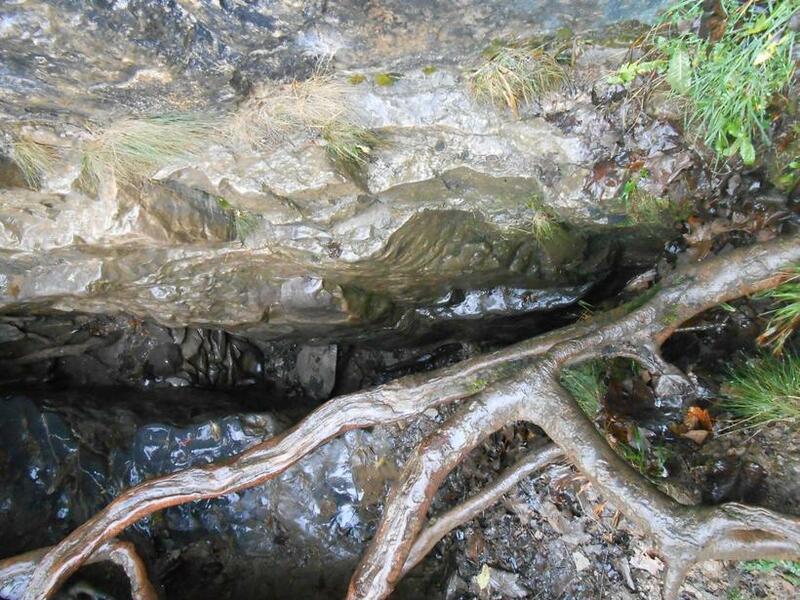 One of the activities that all the children will be taking part in either today or tomorrow (Monday or Tuesday) is caving. 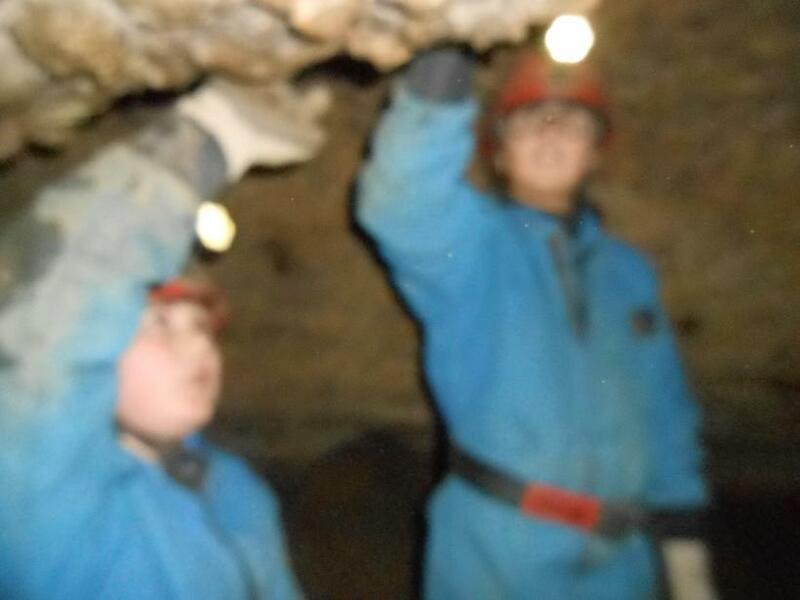 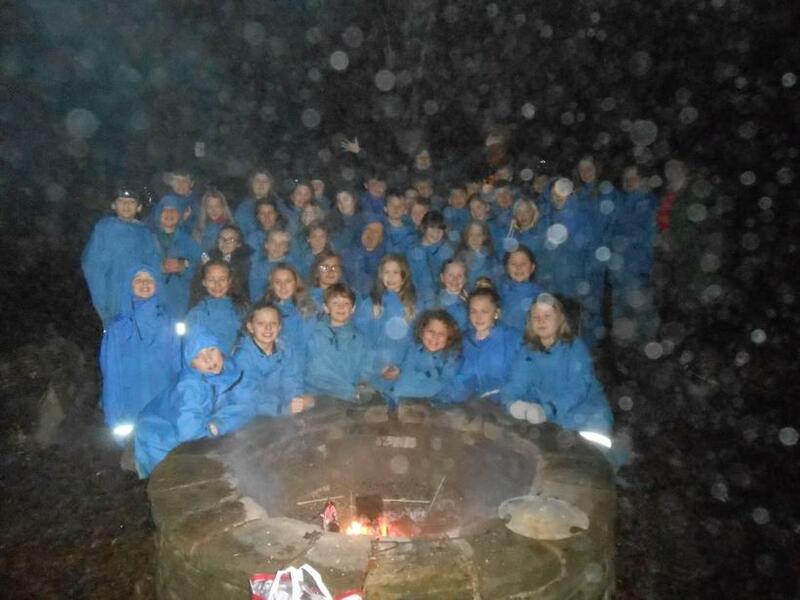 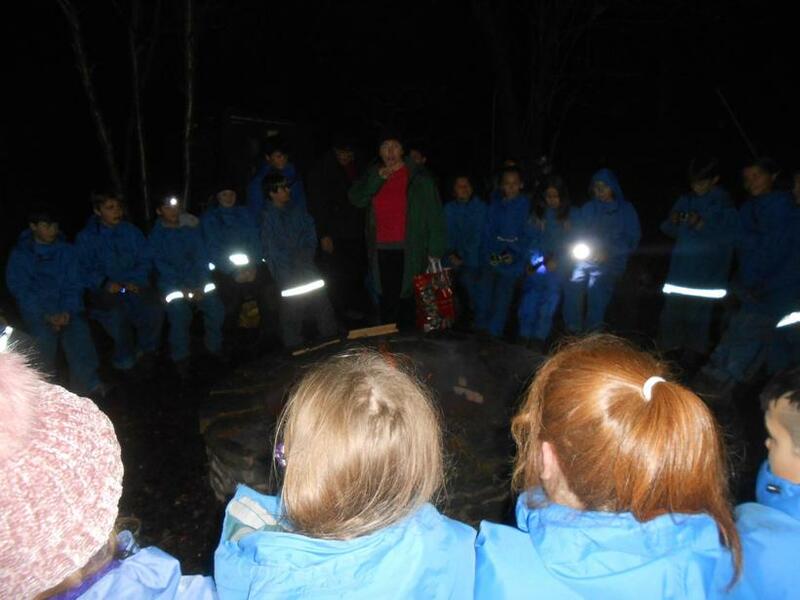 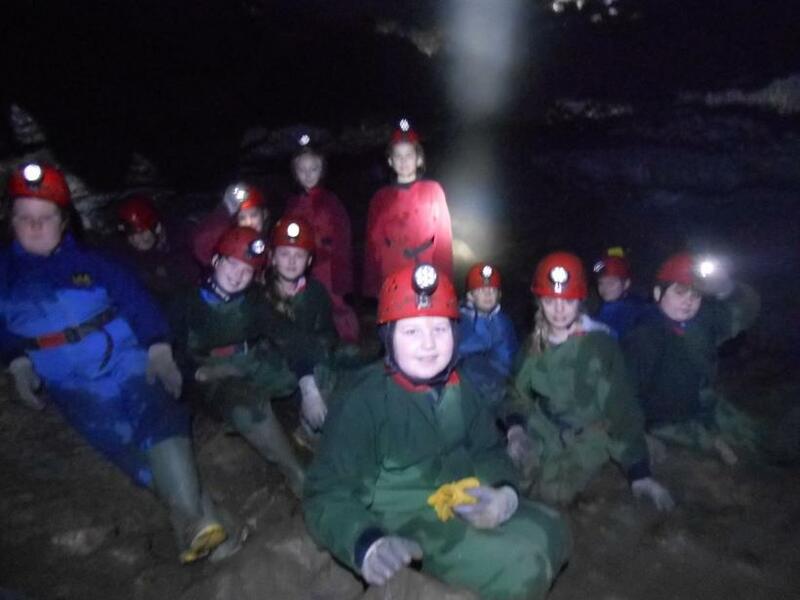 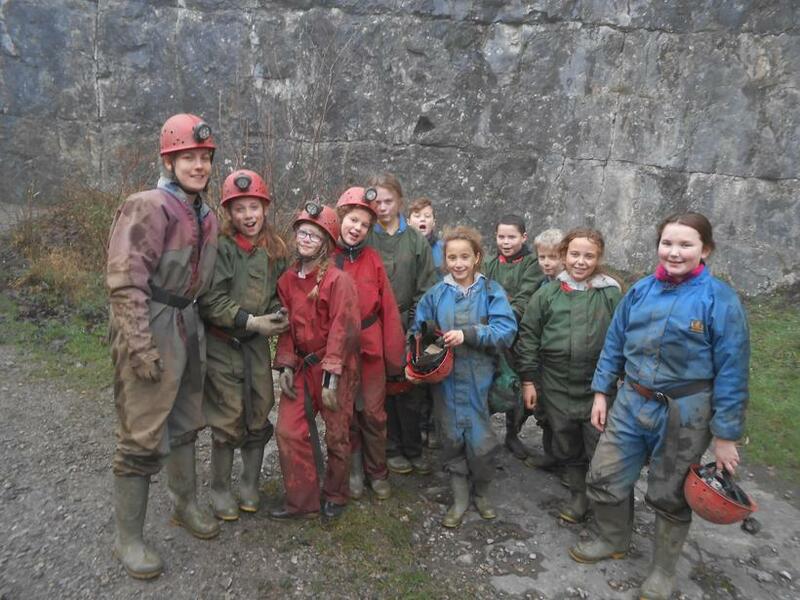 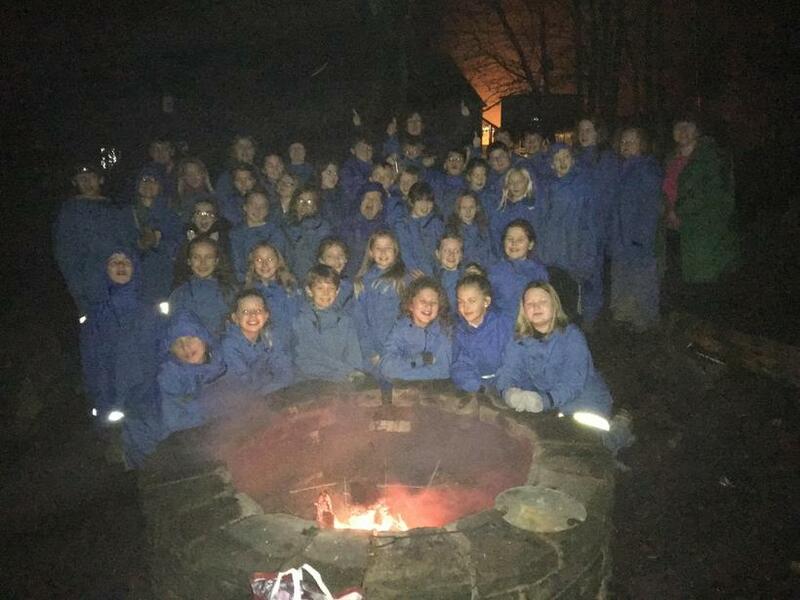 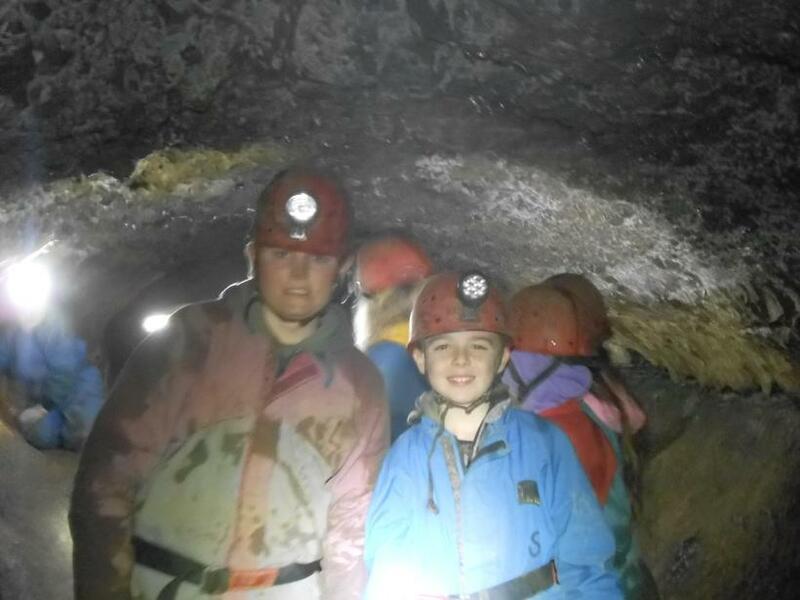 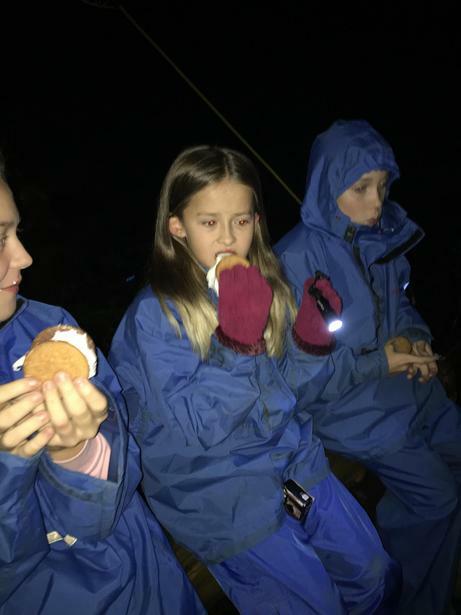 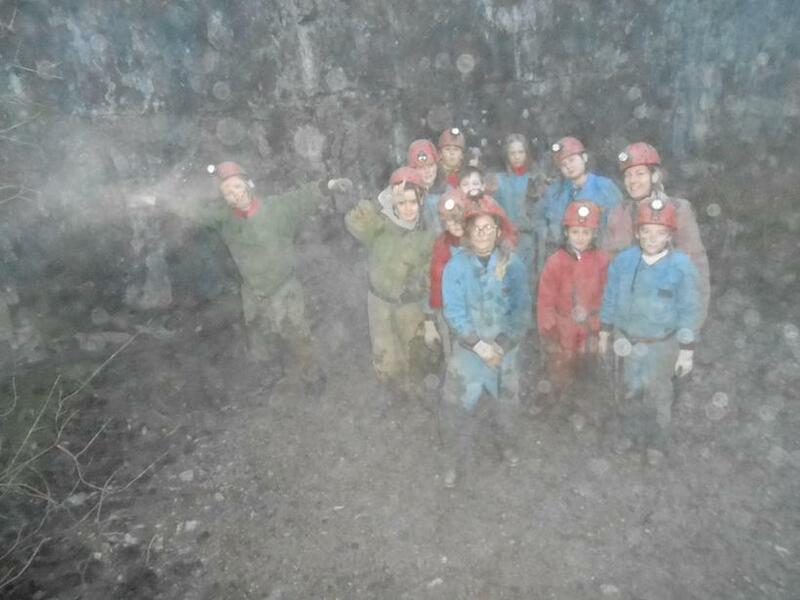 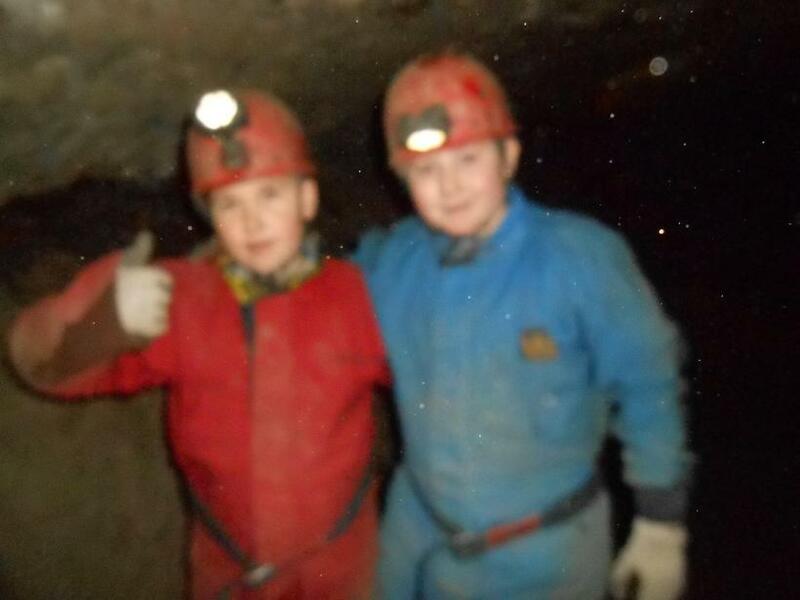 The children (and adults) thoroughly enjoyed the experience of venturing into the dry caverns, even crawling through parts so that they could shake hands with one of their classmates on the other side! 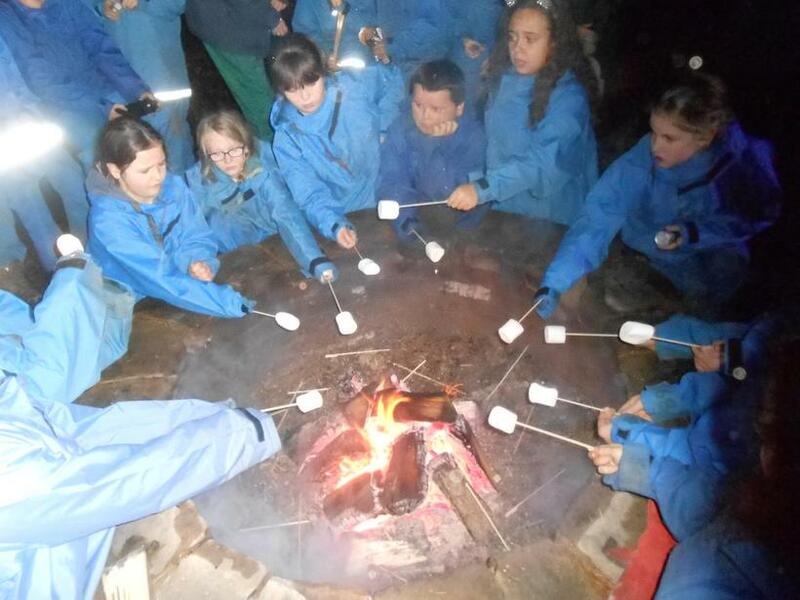 Initially, we worked together as team to complete a range of different tasks. 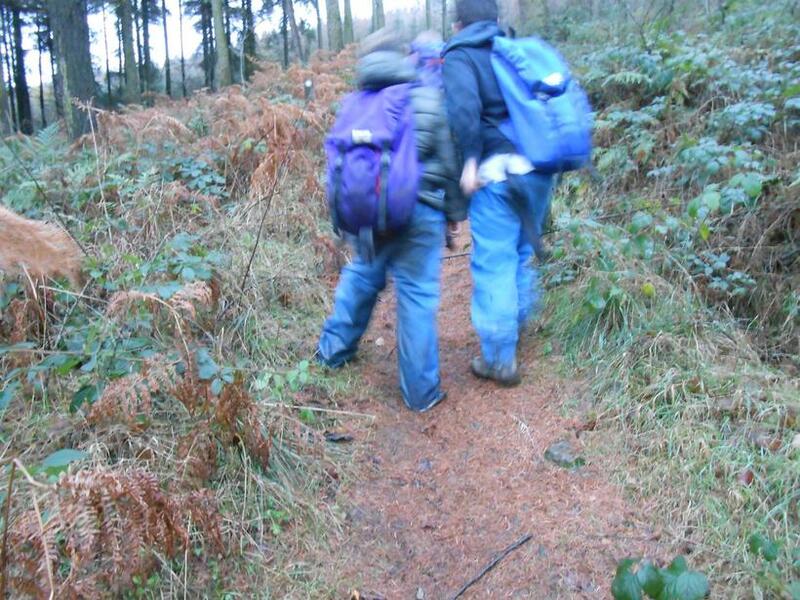 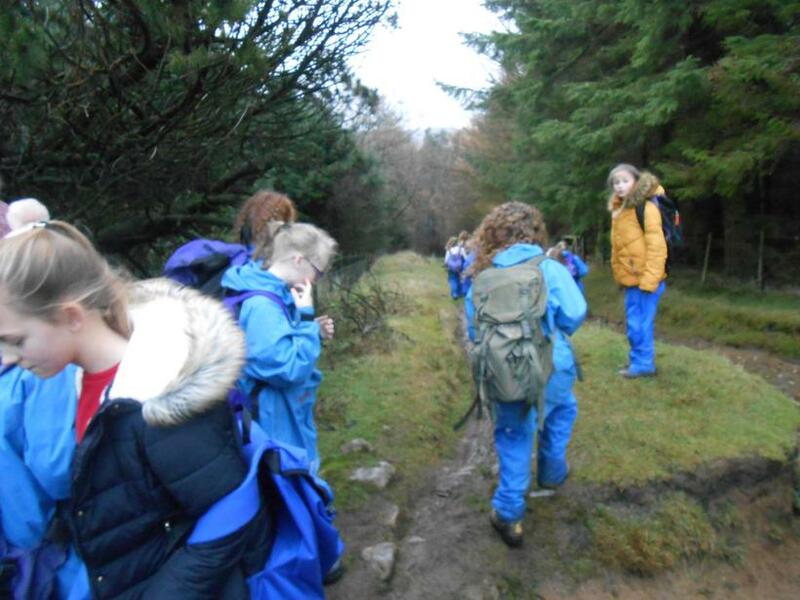 After that, we set off into the woods at the side of Hagg Farm to build our own shelters. 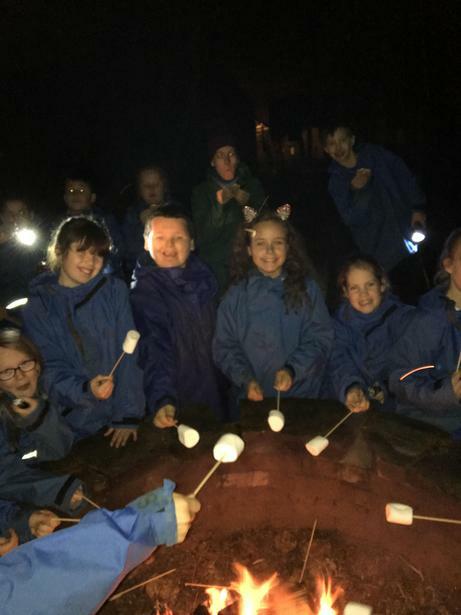 There were some imaginative ideas and the resulting shelters were very impressive (including shelters with seating, fires and even fences) - as you can see! 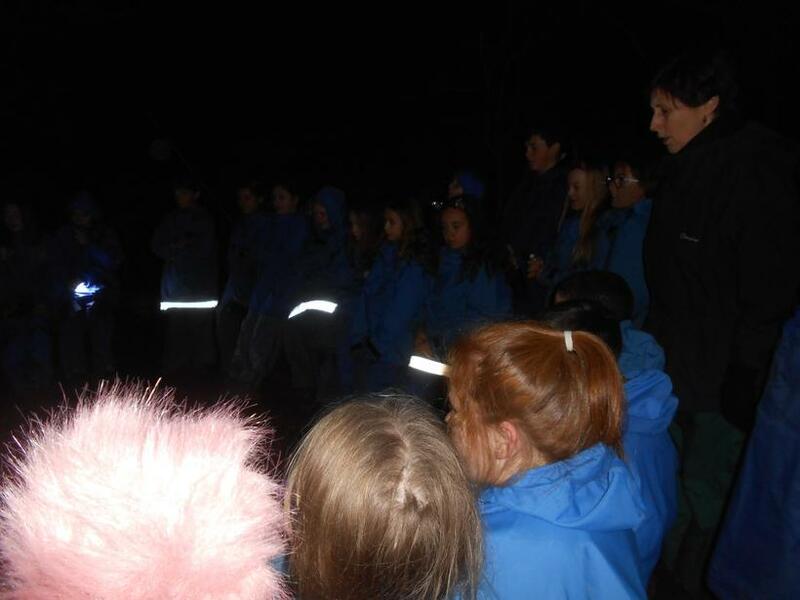 We worked as group to find different locations around Hagg Farm. 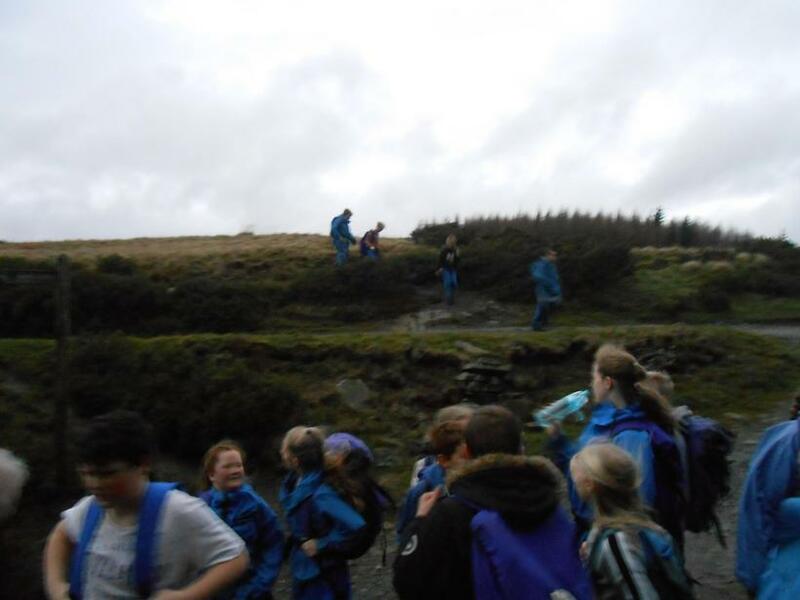 There were two different courses for us to complete and competed to complete them in the fastest time possible. 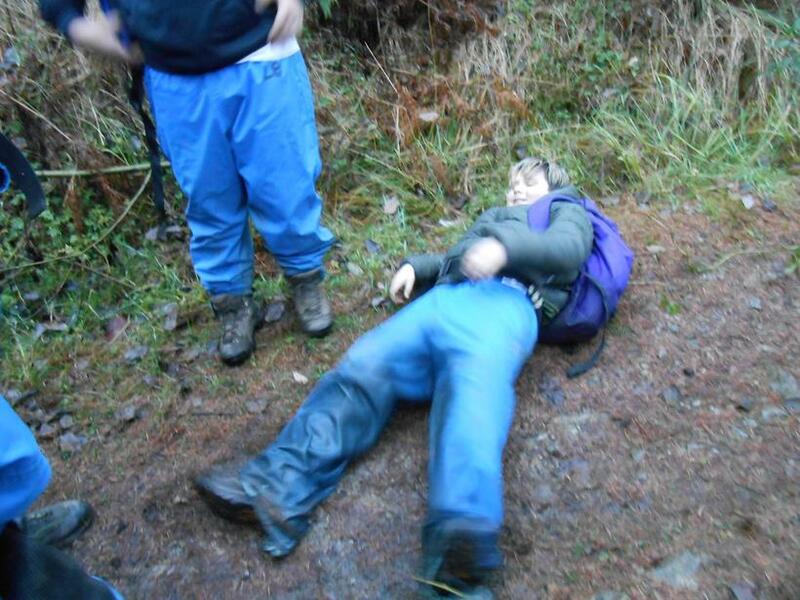 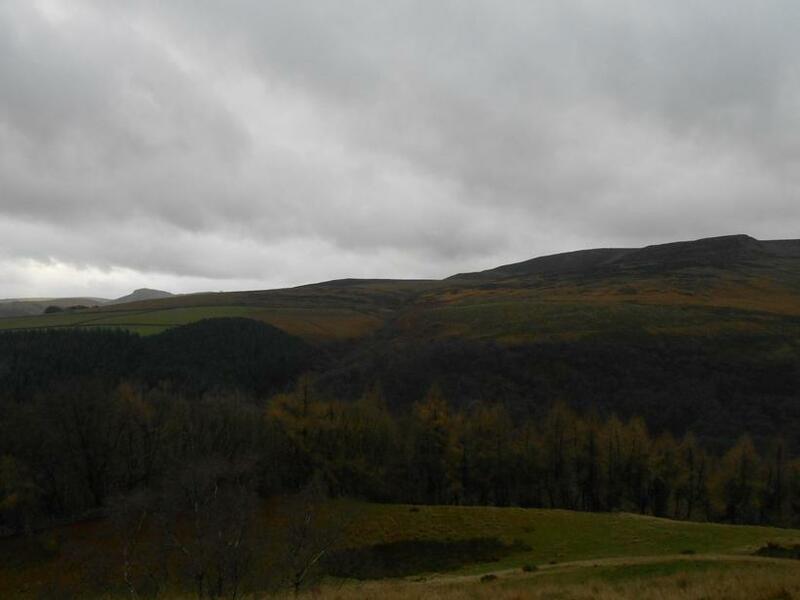 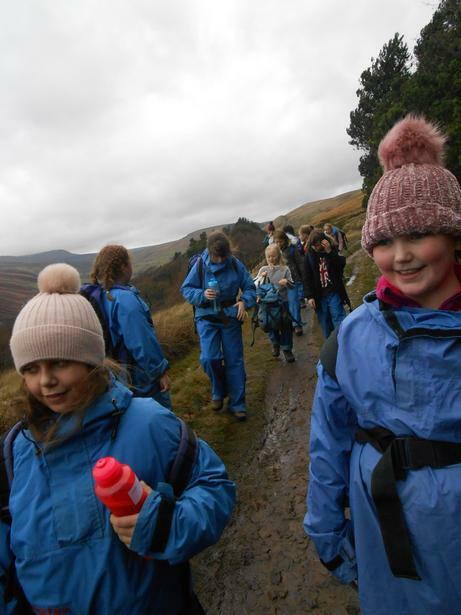 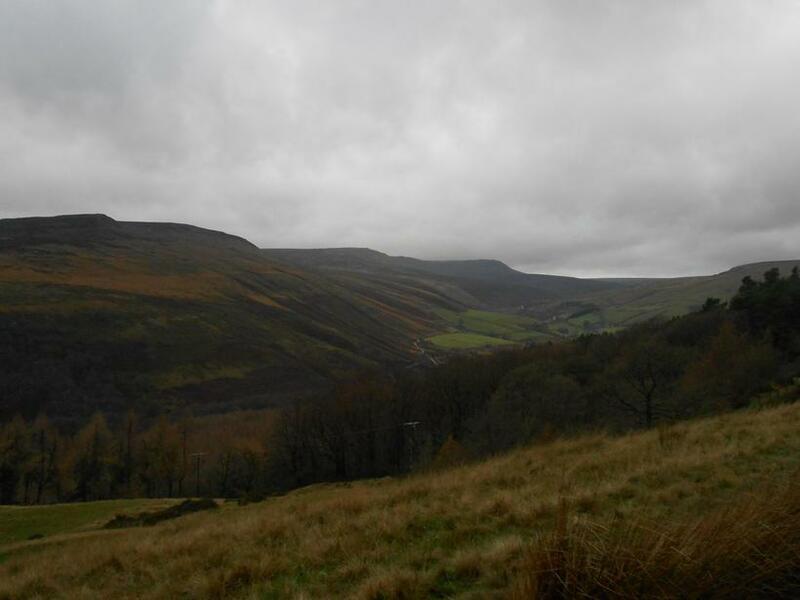 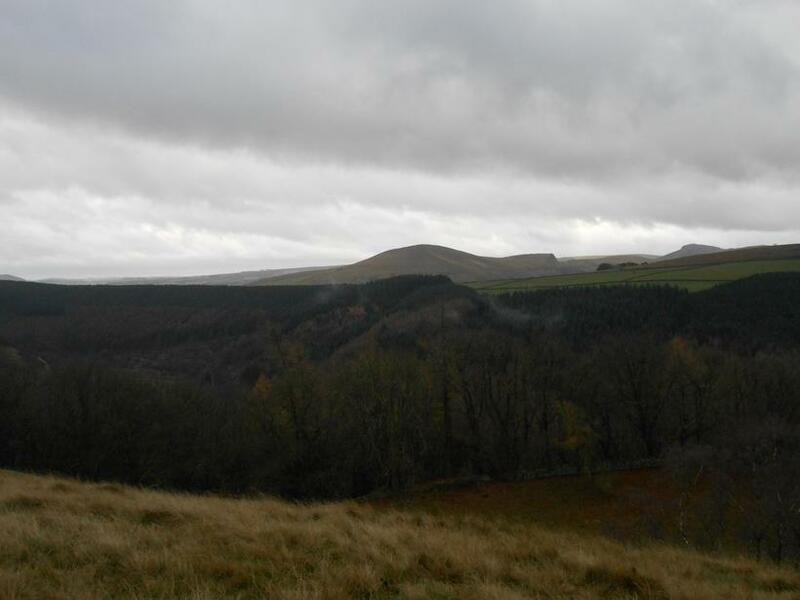 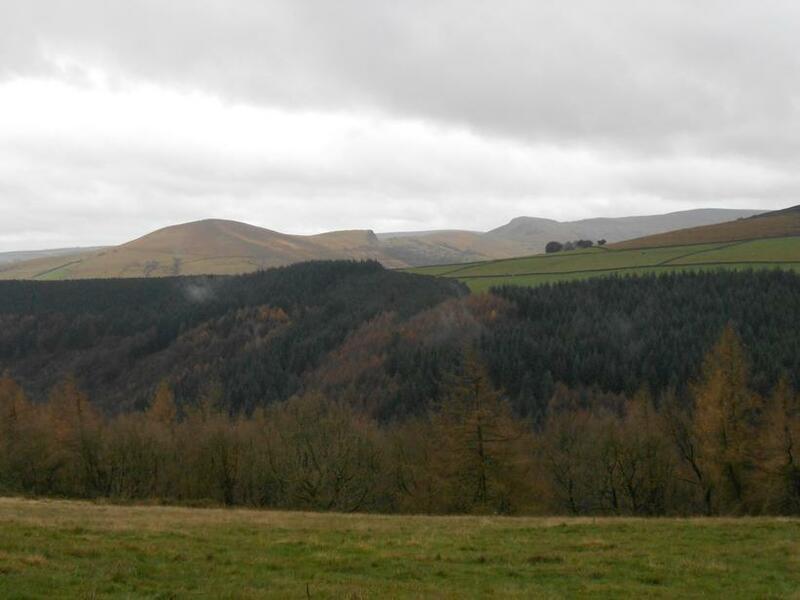 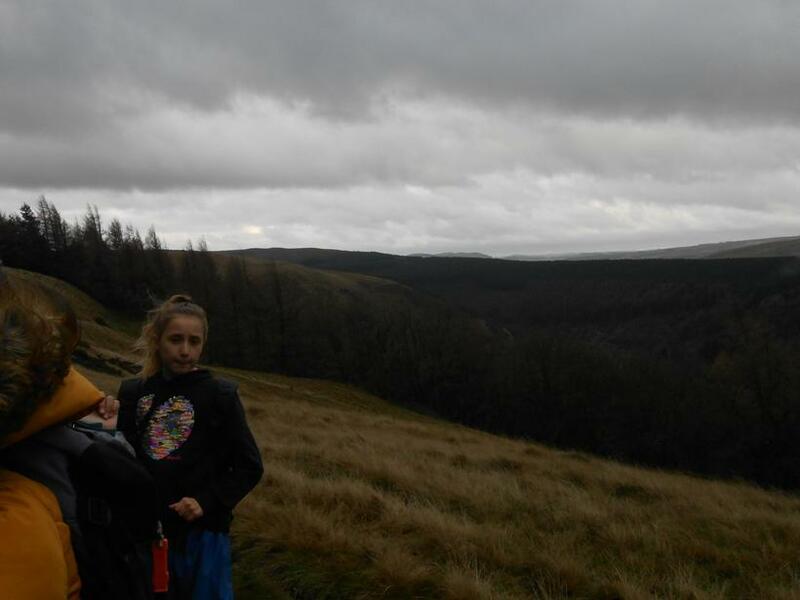 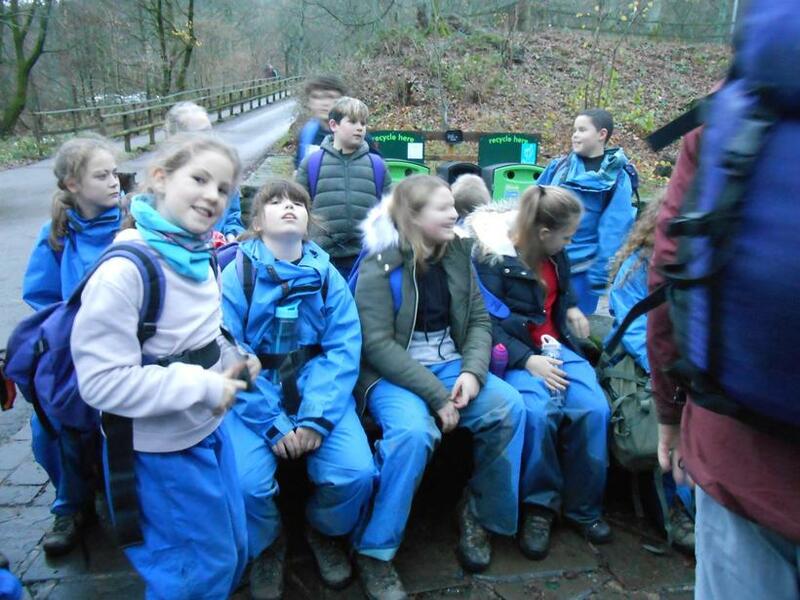 Once we arrived at Hagg Farm, we got our kit sorted - waterproofs, walking boots and rucksacks - and headed out over the hills. 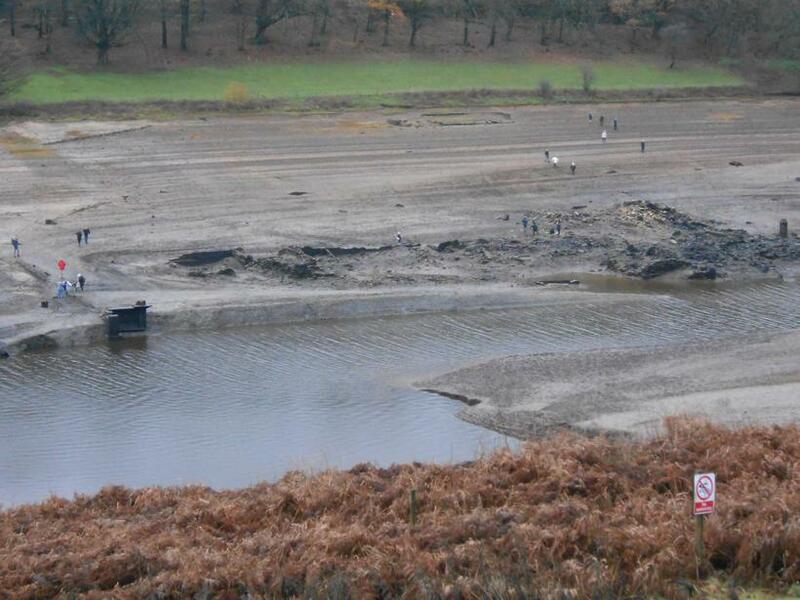 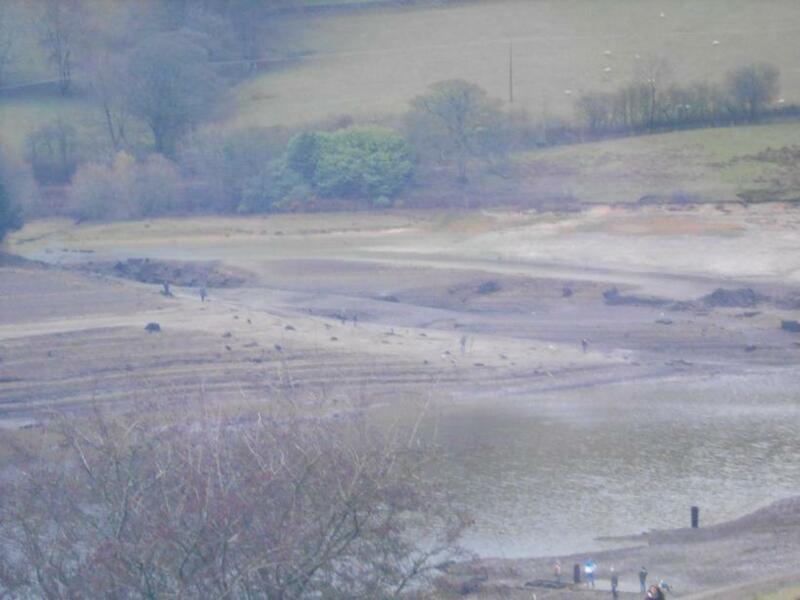 We walked to the Derwent Reservoir to see the remains of the village that have been revealed by the extremely low water levels. 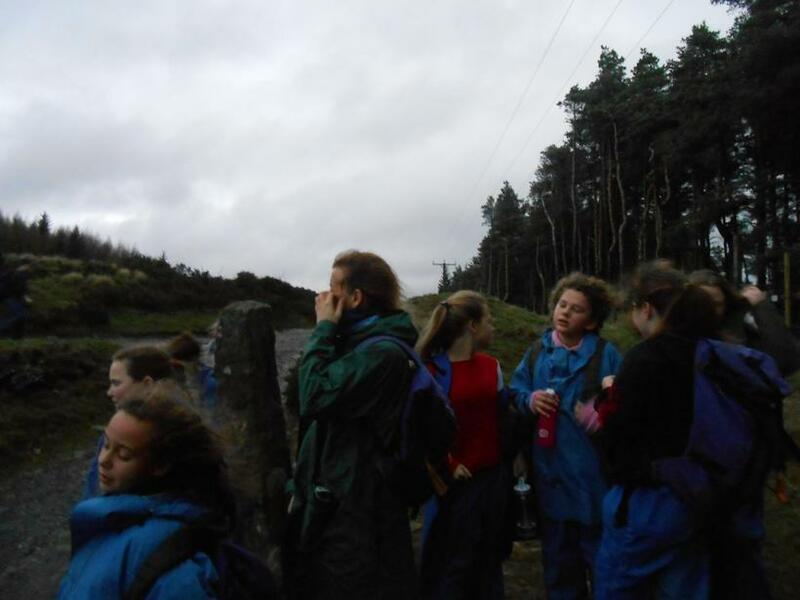 The views were fantastic and we really enjoyed the fresh air and exercise. 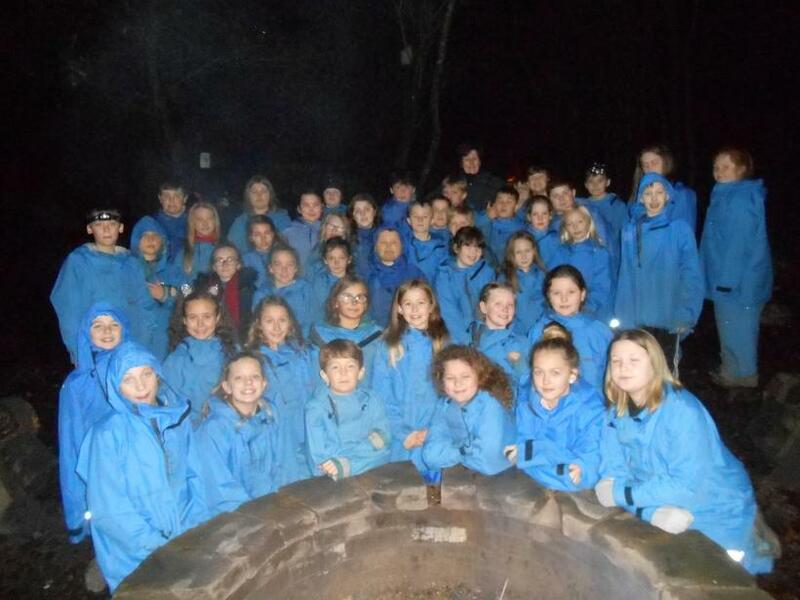 Welcome to the Hagg Farm information page. 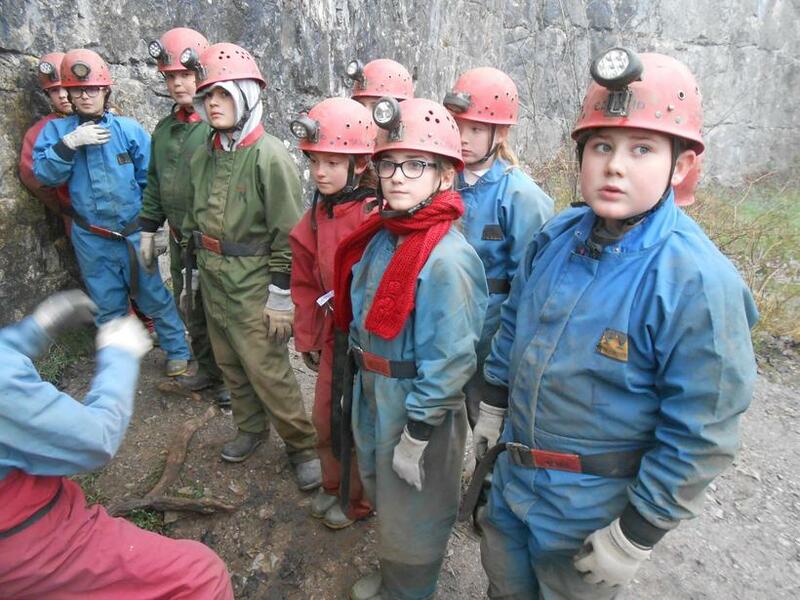 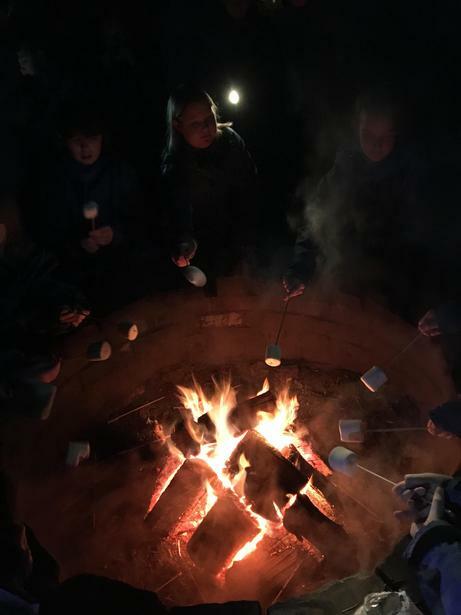 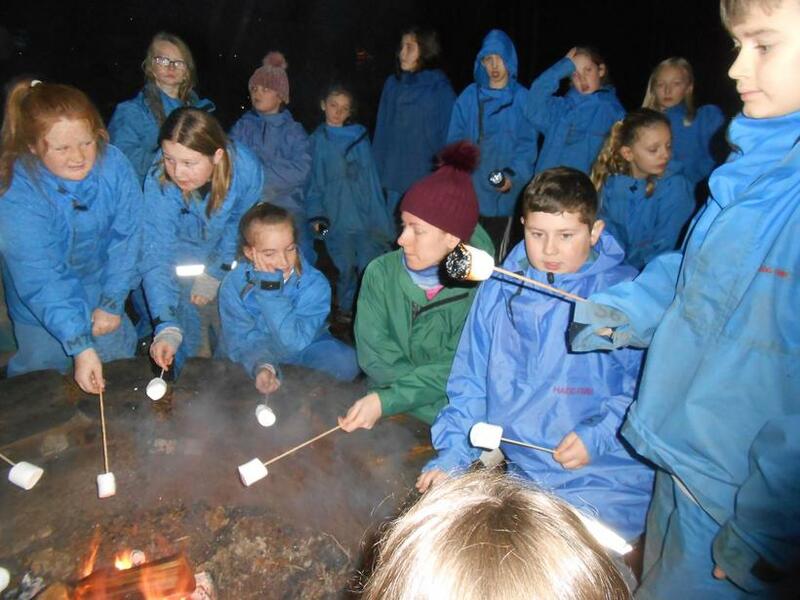 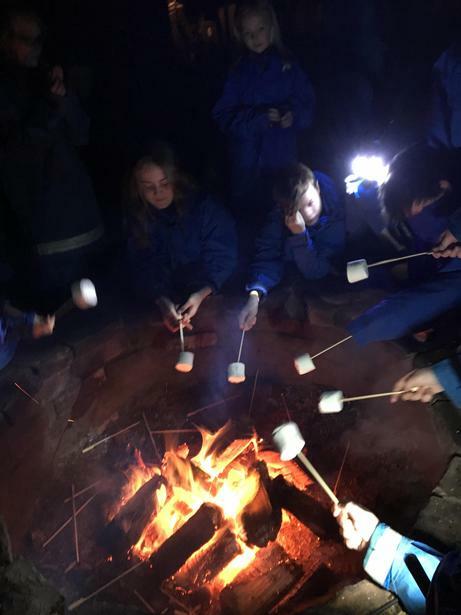 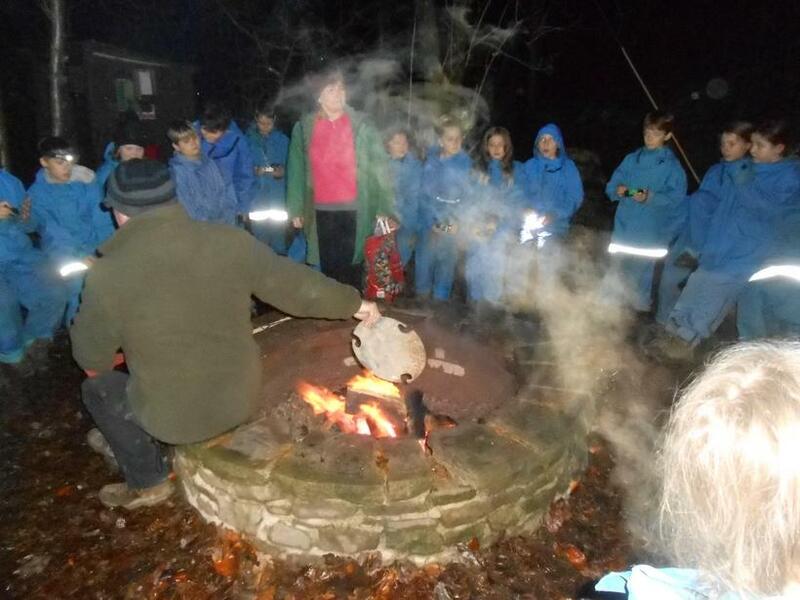 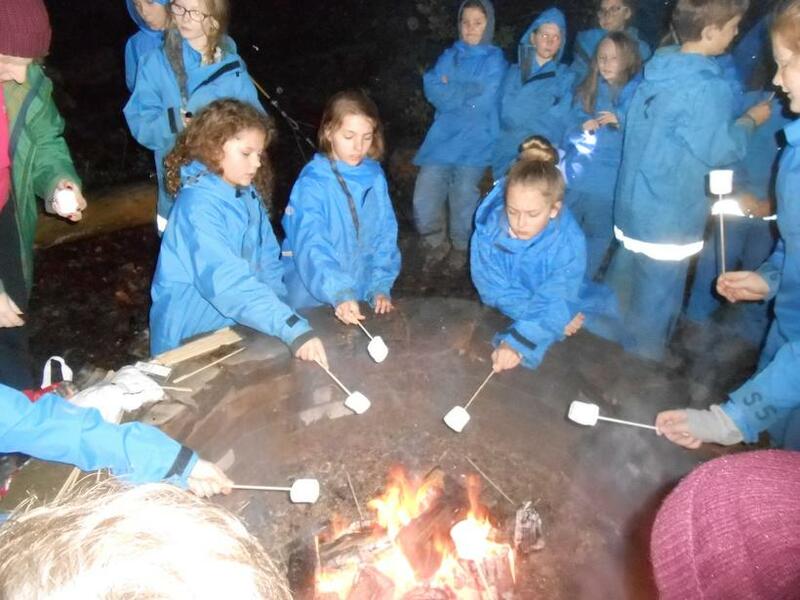 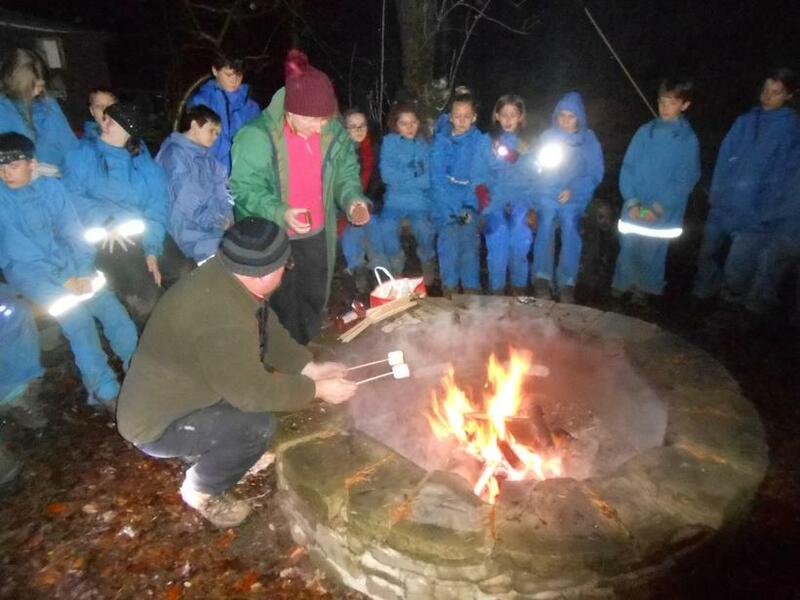 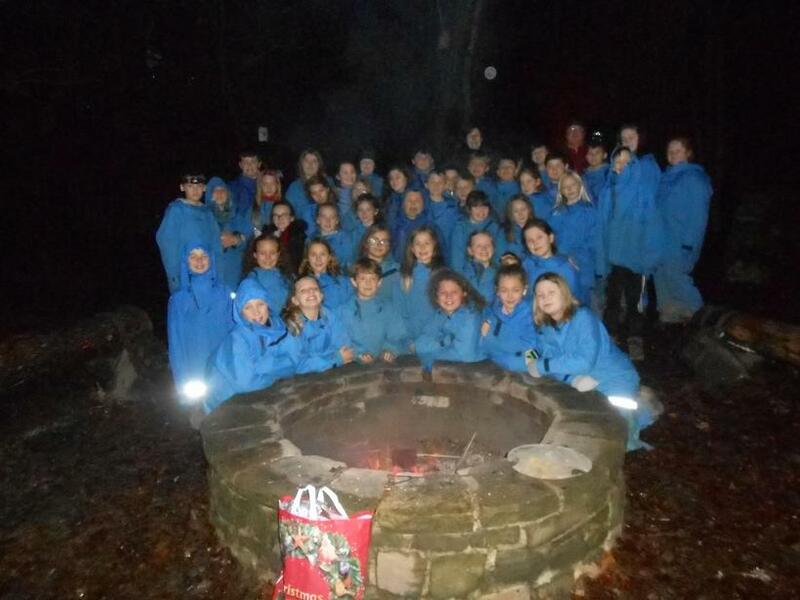 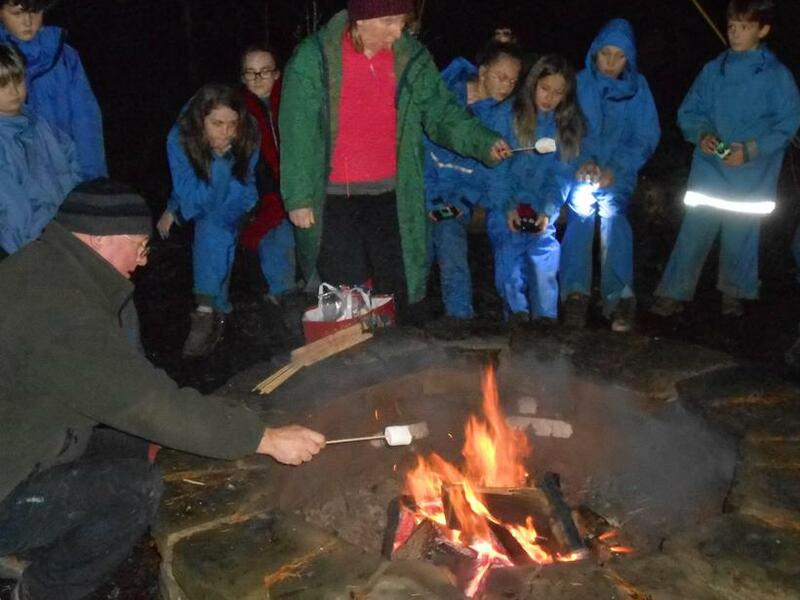 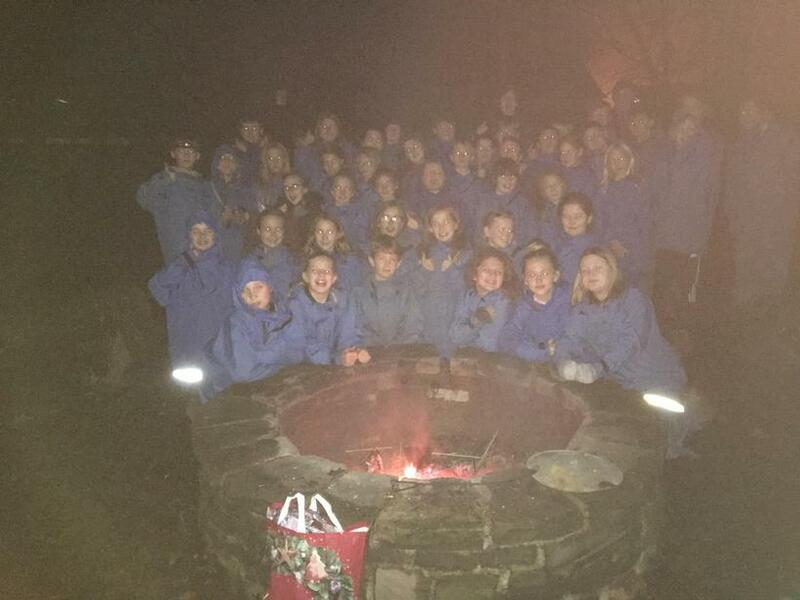 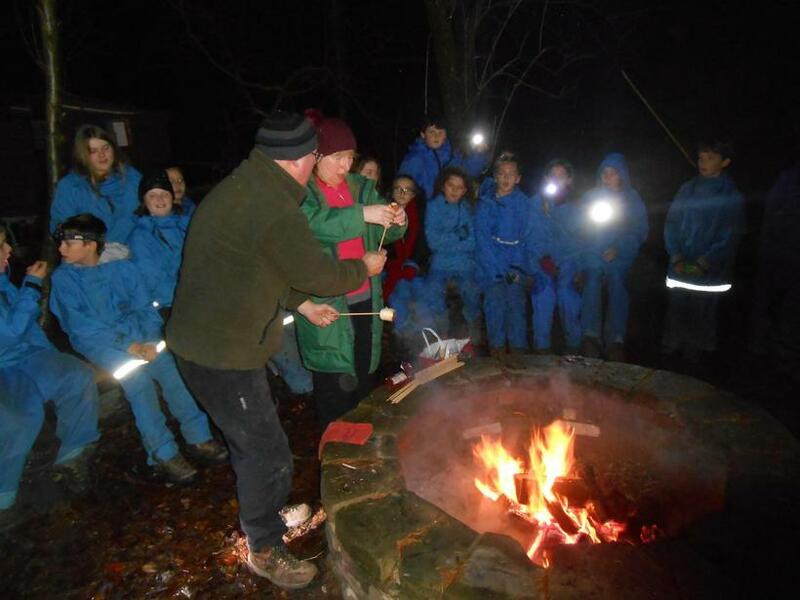 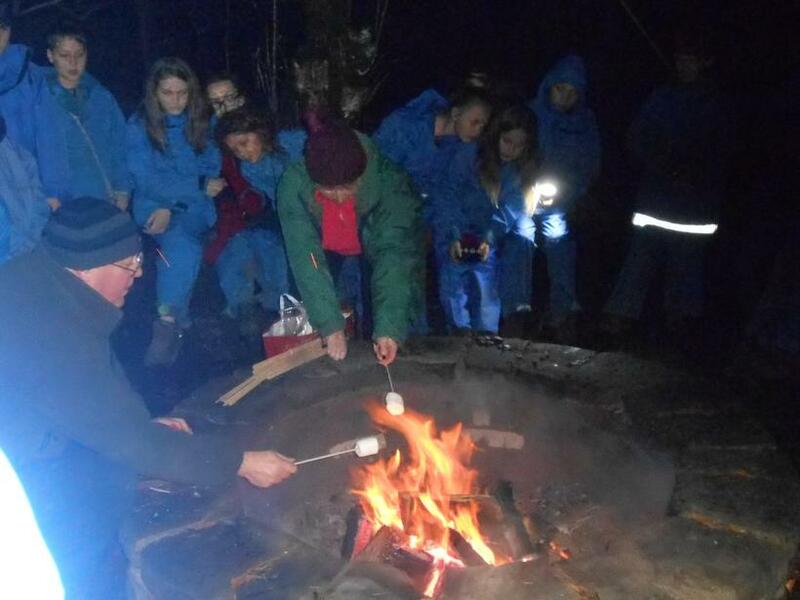 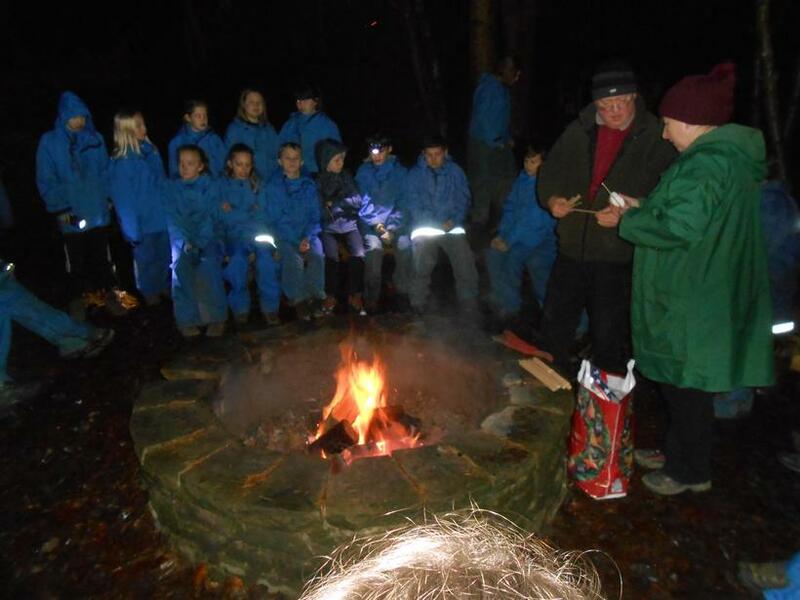 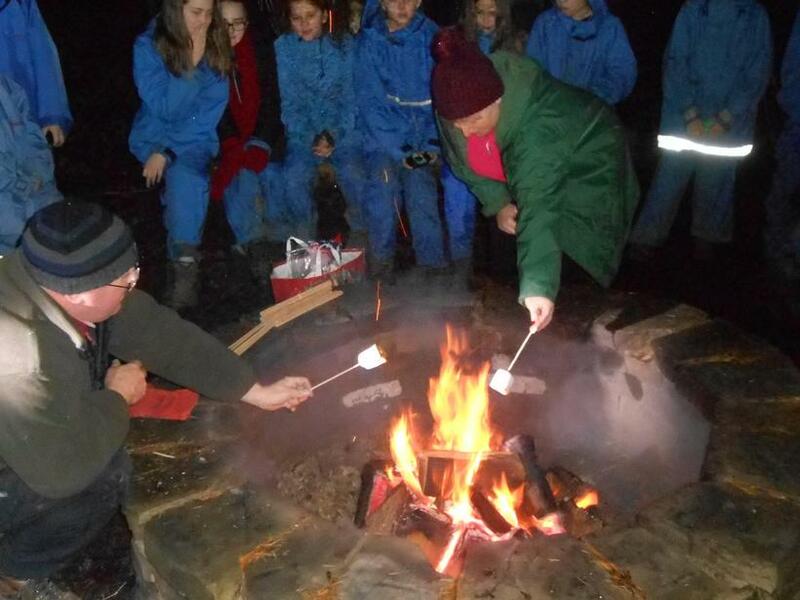 We are very excited to be taking all our Y6 children on residential this year. 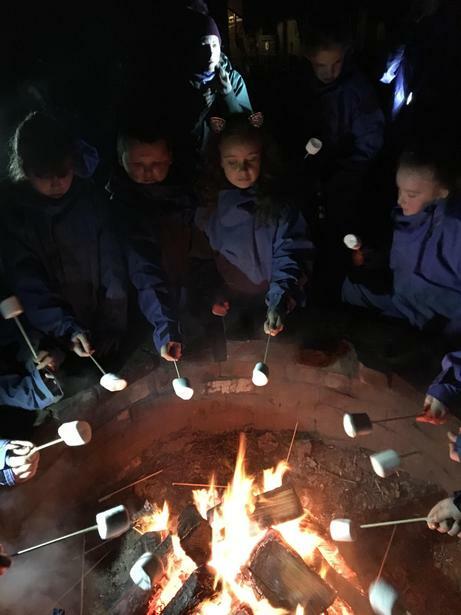 In our experience, residentials provide children with the opportunities to forge strong friendship groups with children that they sometimes never cross paths with during their normal school day. 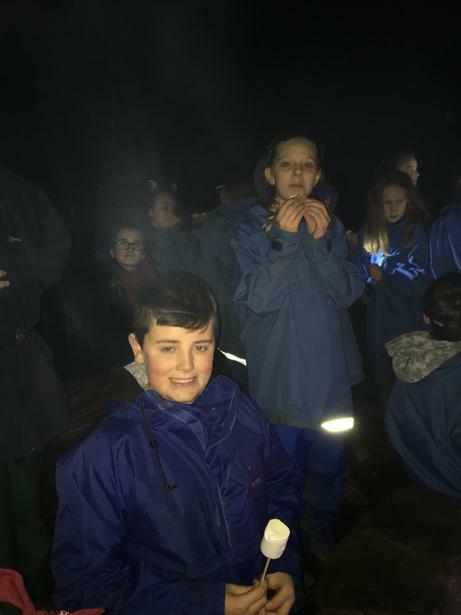 These friendships, we have found, continue throughout Y6 and beyond, providing all participants with a strong support network. 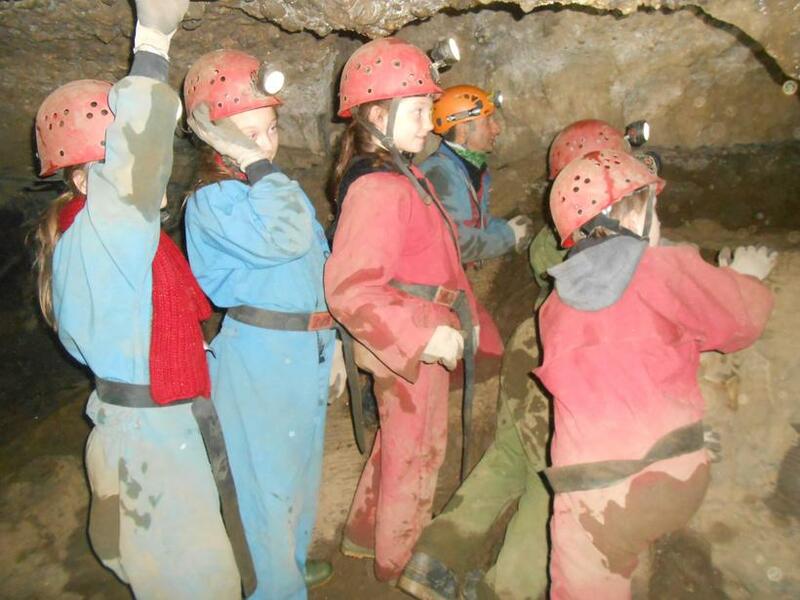 Below you will find all the information about the visit. 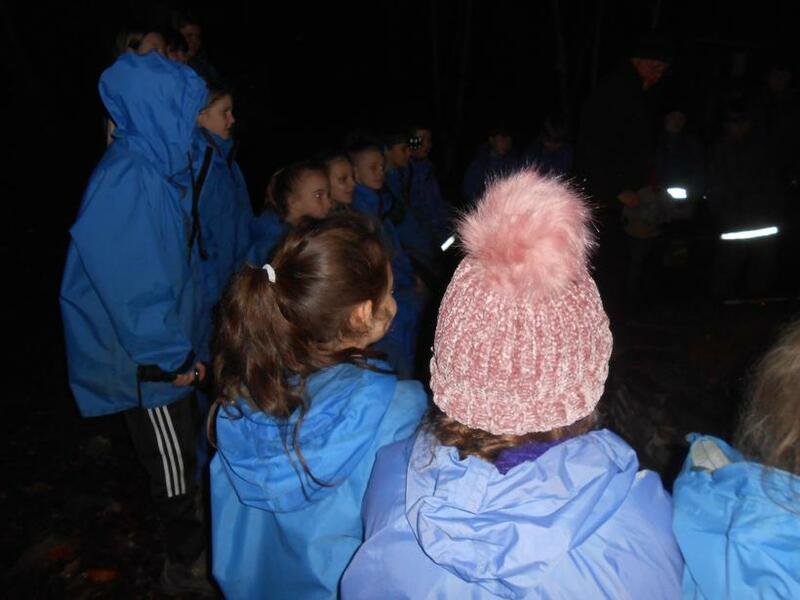 I have included the presentation I showed at the parent's meeting on Monday 24th September, just in case you were unable to attend. 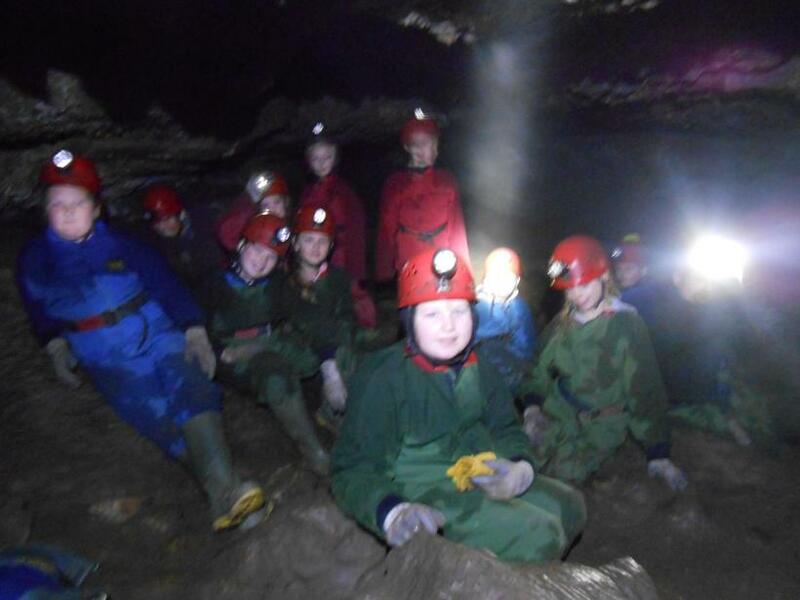 For those parents who were unable to attend, your children should have brought home their information packs. 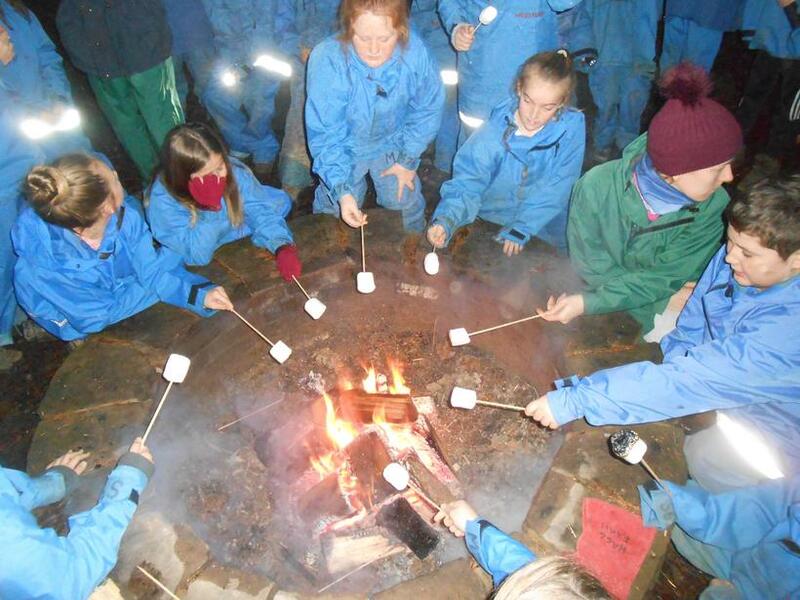 Please complete all the white forms and return these to school asap. 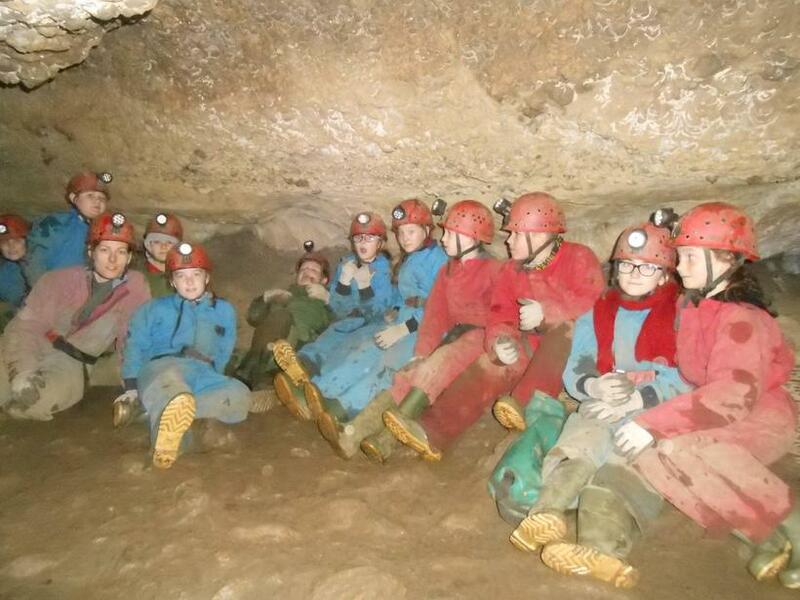 If you have any questions, please do not hesitate to contact the school office.